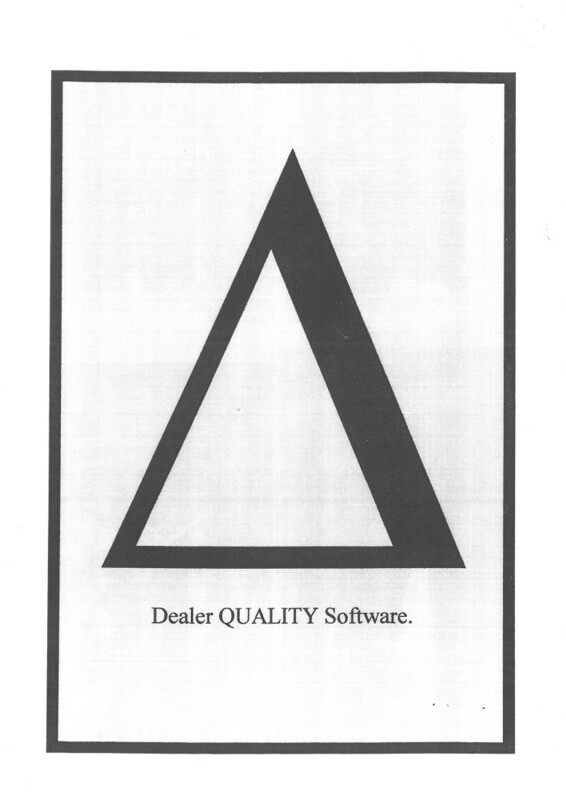 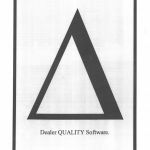 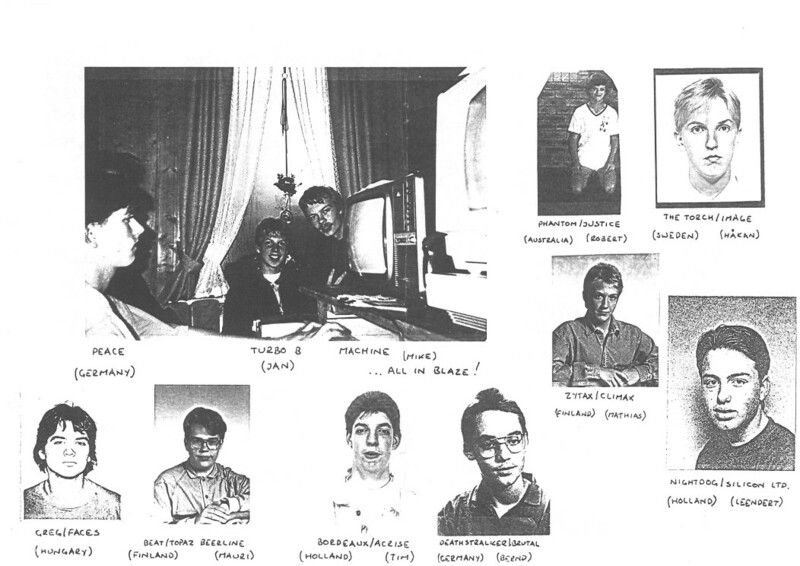 Interpersonal relations in the early cracking– and demoscene were shaped by a contradiction. 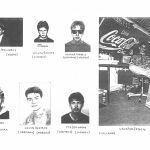 On the one hand, sceners hid behind nicknames – for conspirative reasons, or just to appear “cool” and mysterious, or a mixture of both. 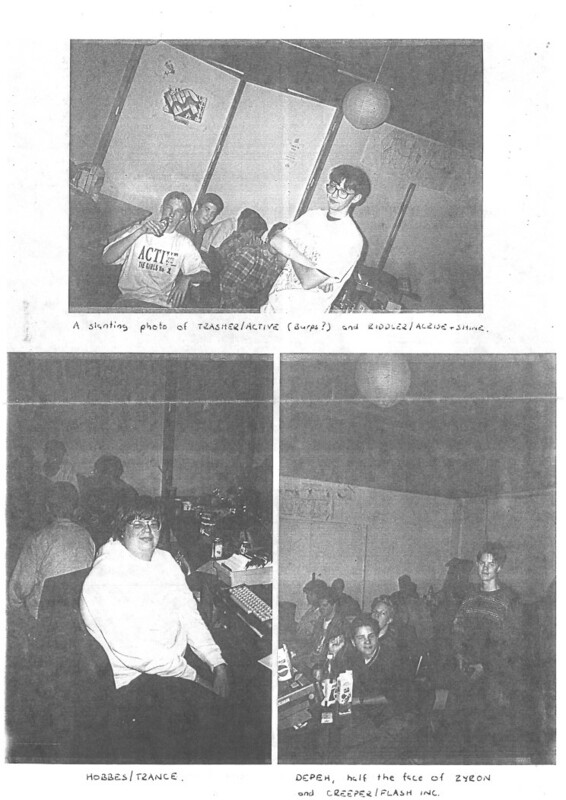 On the other hand, despite the moral panic of “isolation” as a purpoted consequence of home computing, being part of the scene was always a highly social activity. 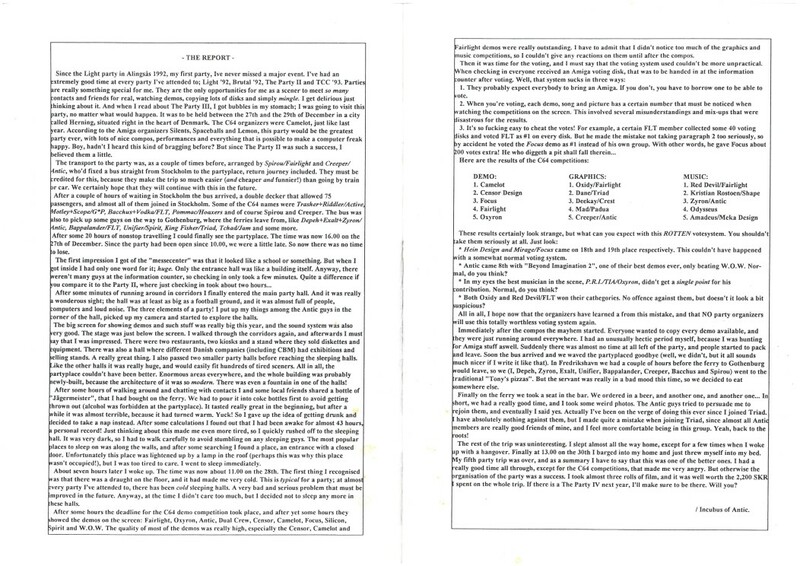 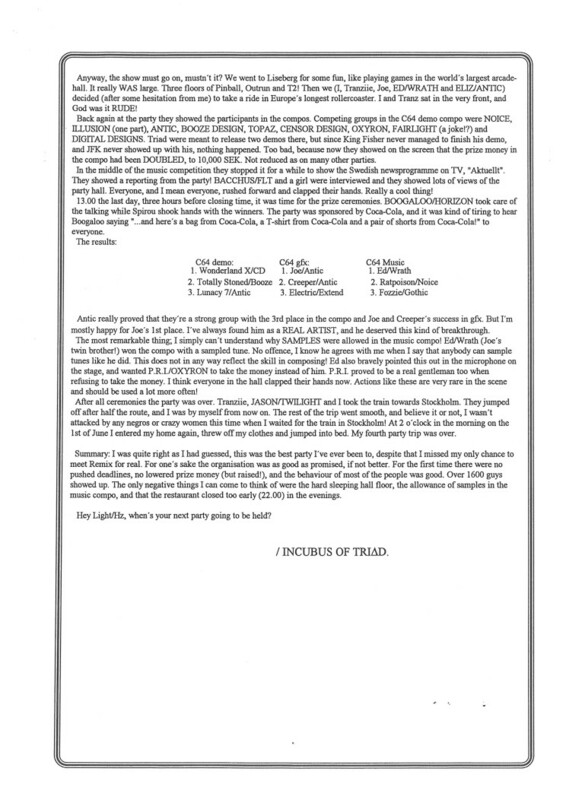 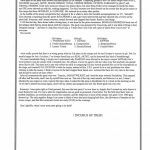 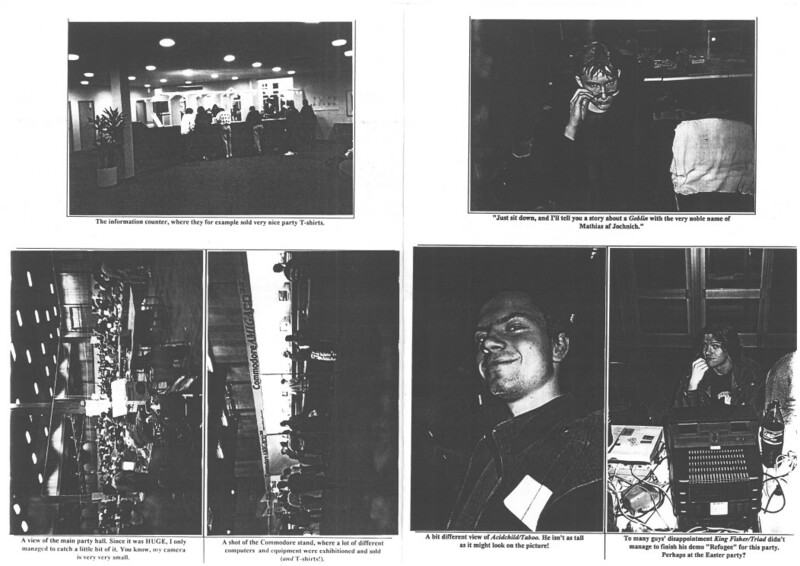 From its dawn in the 1980s, the scene was a long-distance, yet very dense, interpersonal web, woven by floppy disks in the post, modem connections, conference calls, and intro scrolltexts. 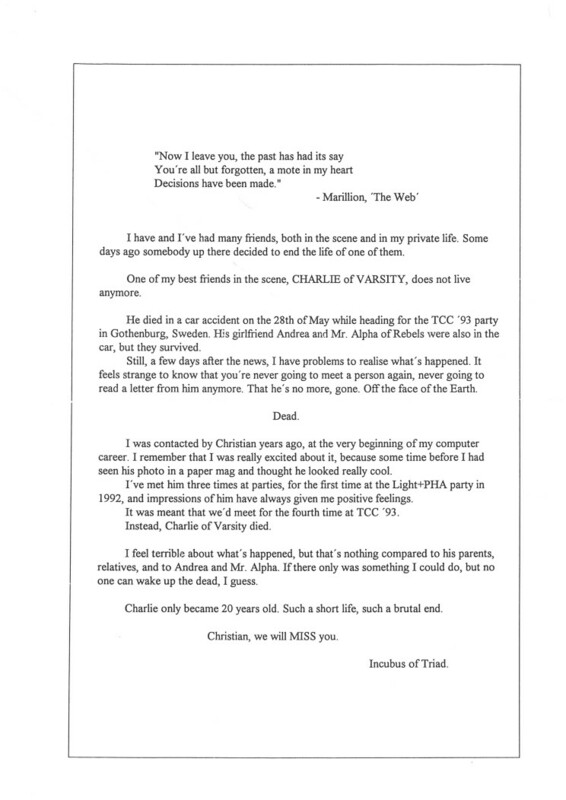 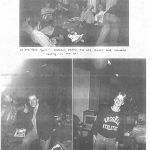 Of course, one could meet each other on a local level, and from time to time copyparties provided possibilities to meet your long-distance contacts, but more often than not you did not know how your fellow sceners outside your regional boundaries looked like. 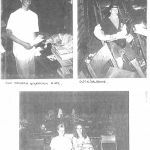 Often sceners would sent each other photos through the post; from time to time, they would appear on the pages of papermags. 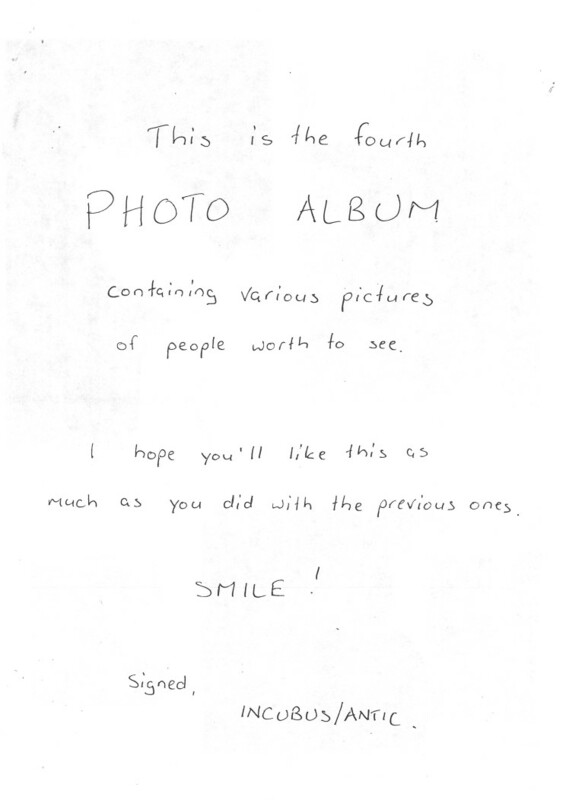 Now, thanks to Hedning‘s collecting and scanning efforts, we can rediscover a long forgotten medium of photographic exchange: photo albums and flyers, compiled by swappers and spread among their contacts. 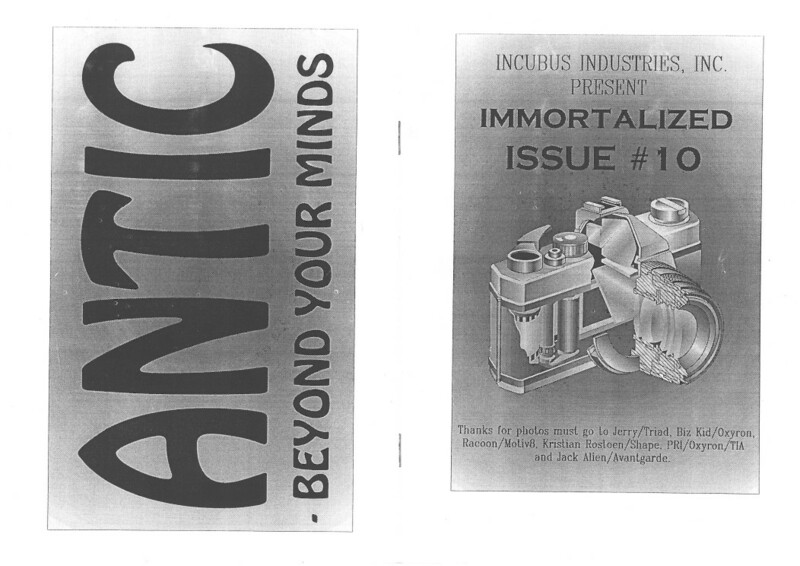 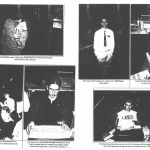 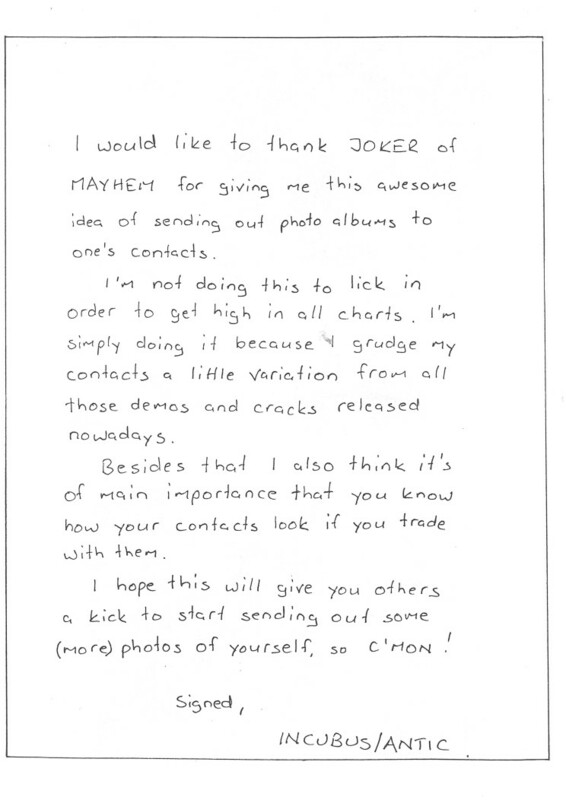 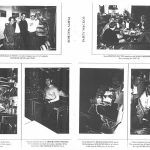 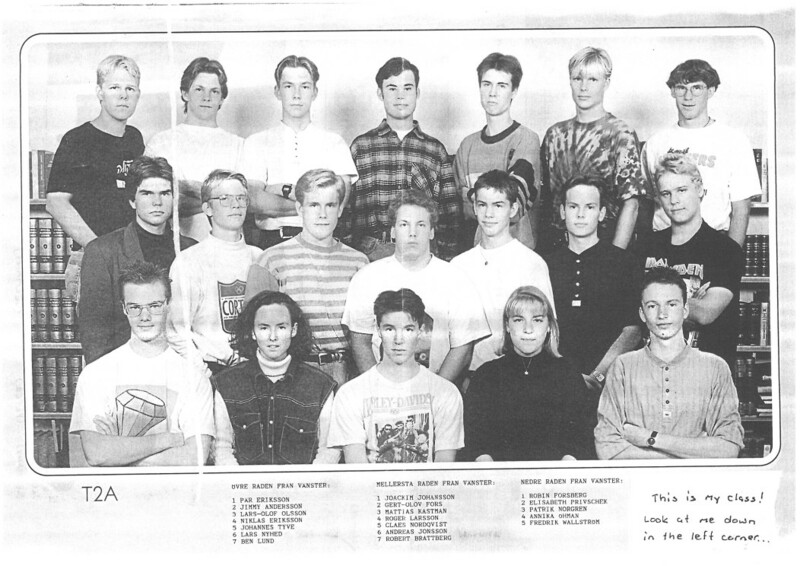 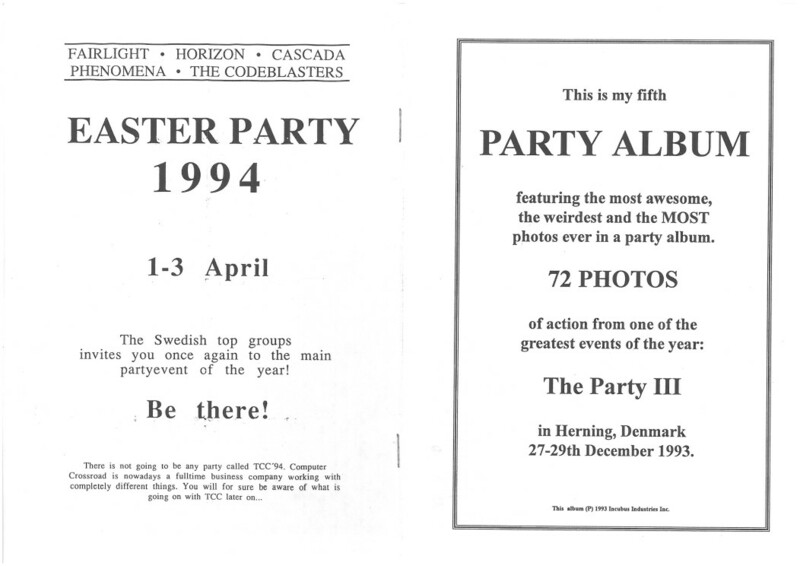 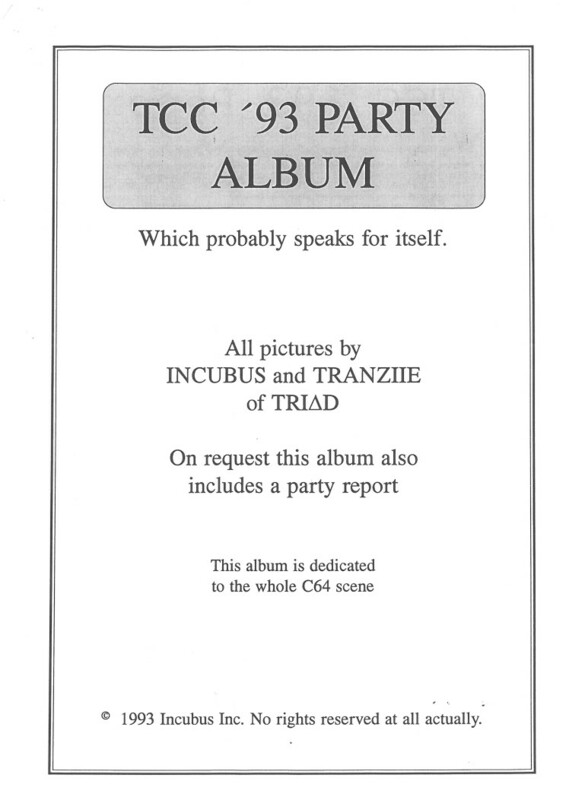 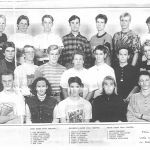 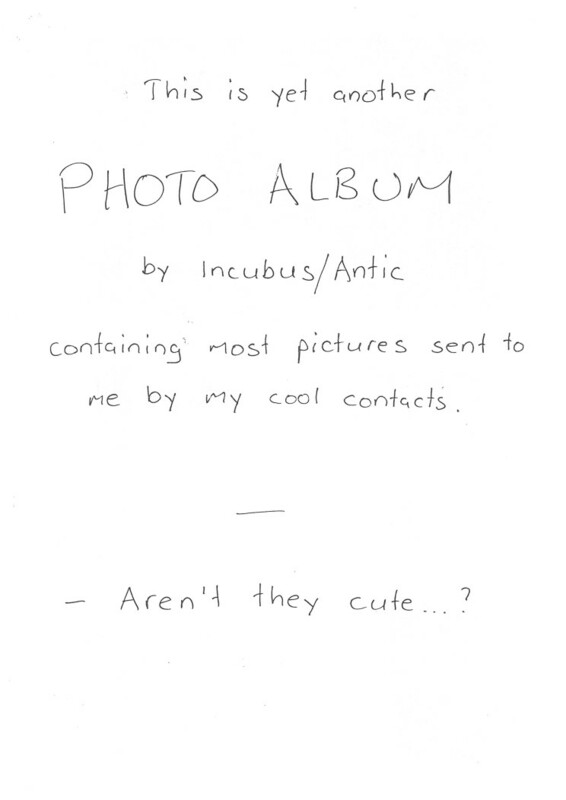 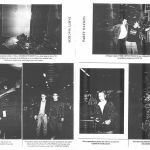 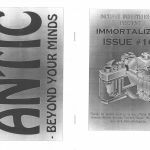 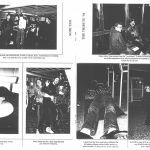 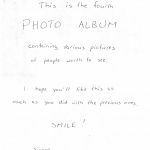 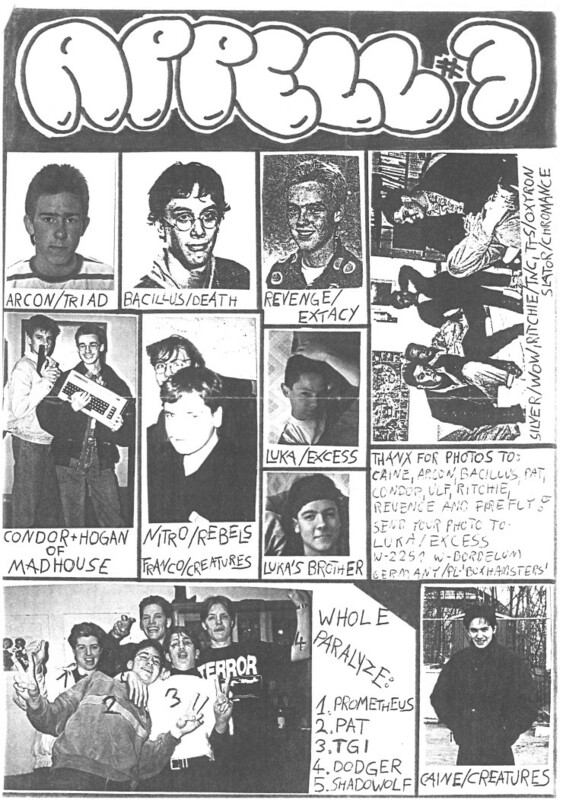 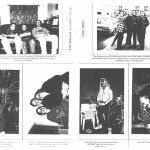 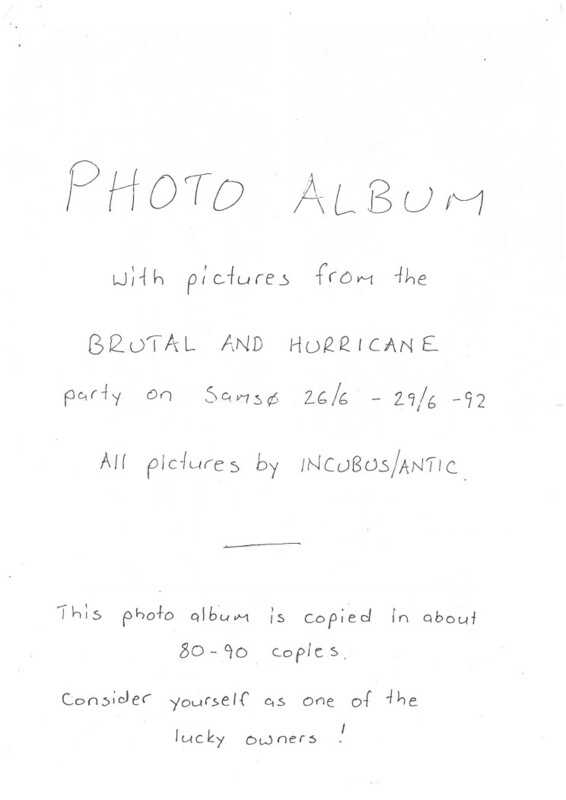 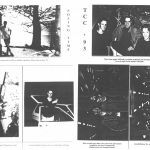 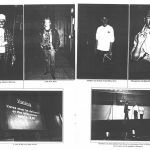 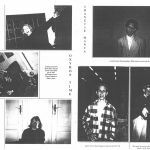 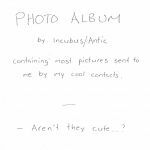 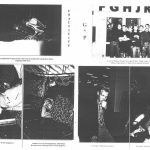 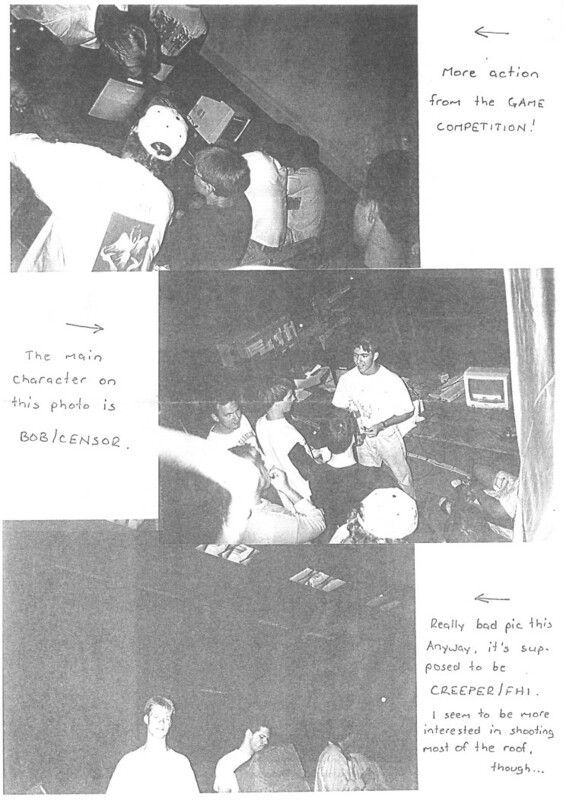 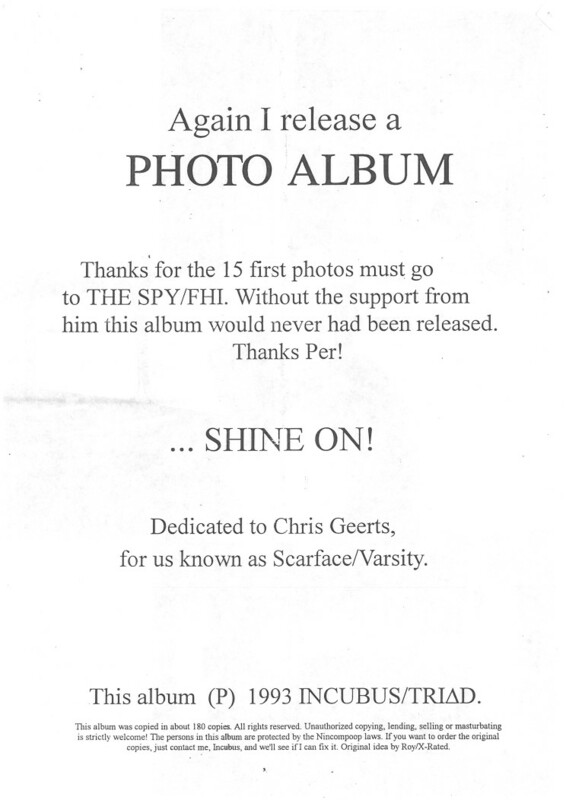 A particularly industrious swapper in this regard was Incubus from Sweden, who produced dozens of such albums in the early 1990s, sharing pictures from the most recent copyparties as well as random portraits sent to him by his contacts from all over the world. 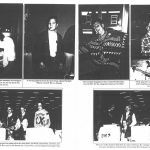 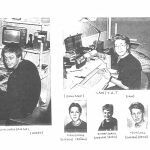 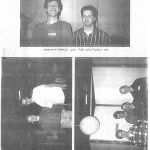 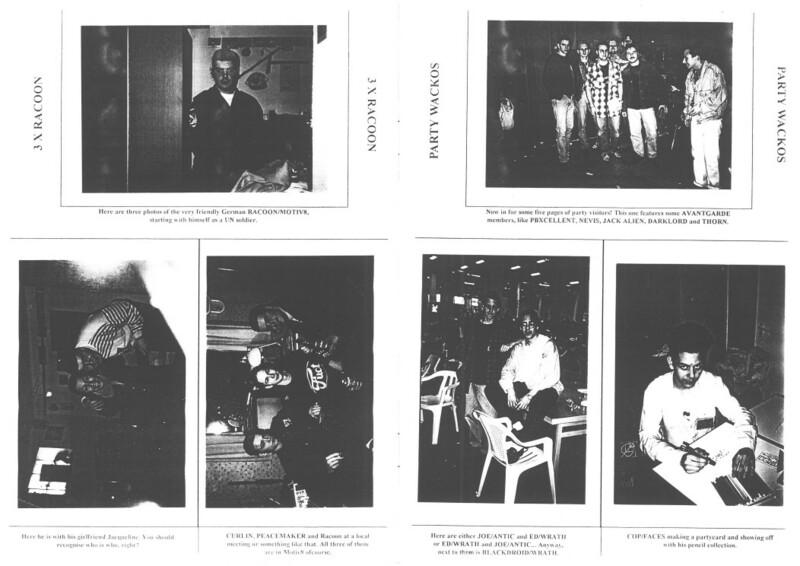 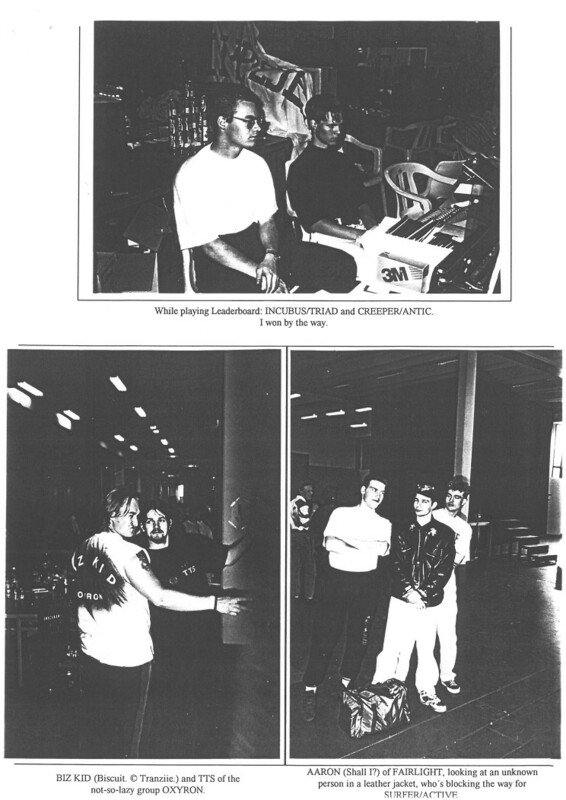 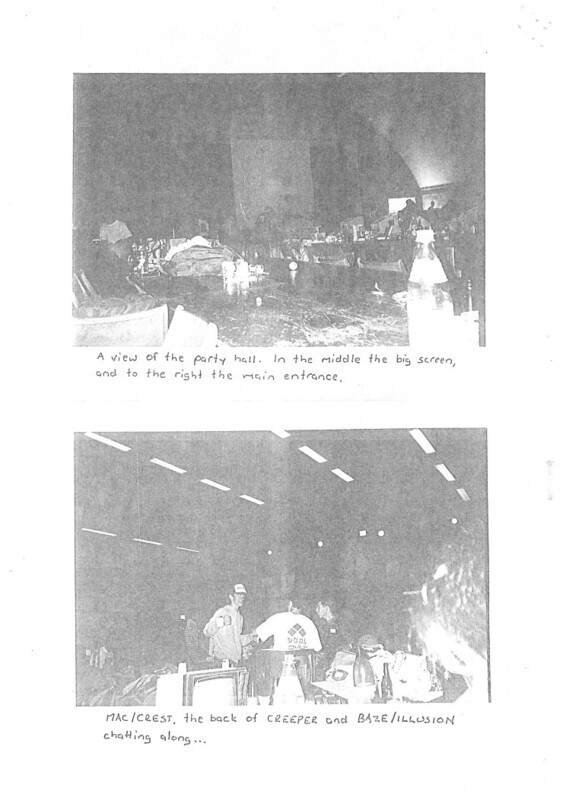 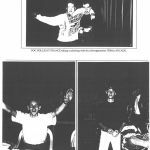 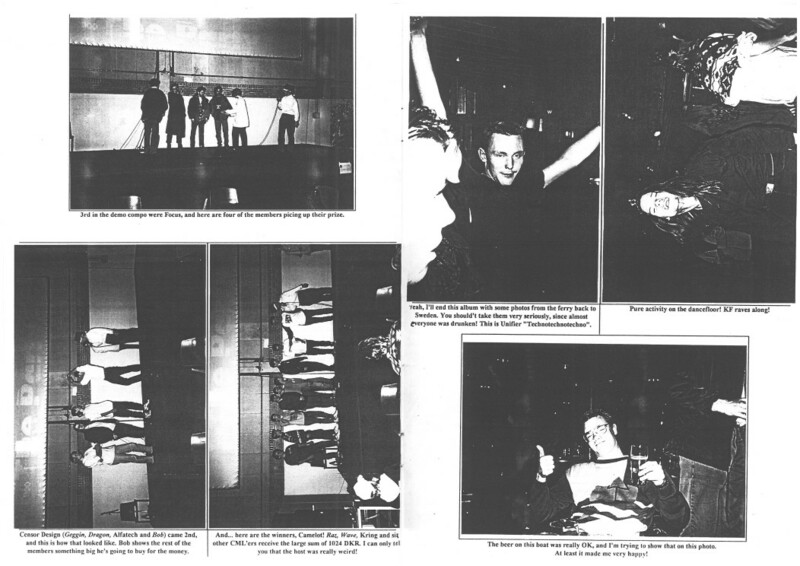 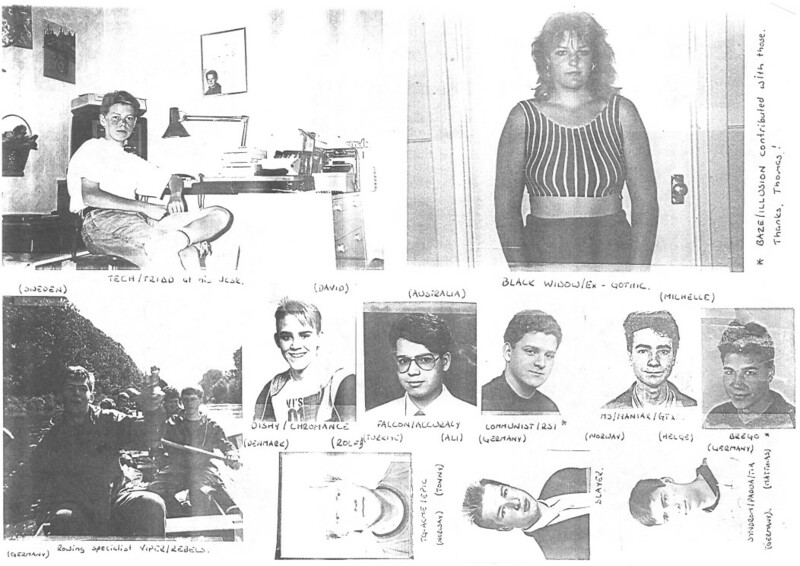 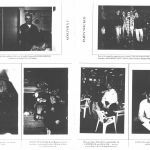 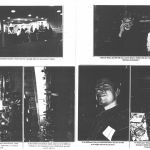 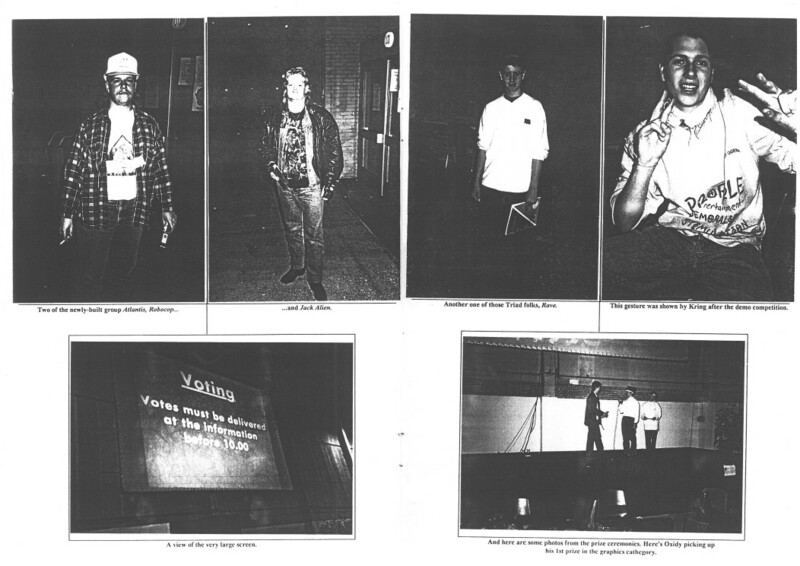 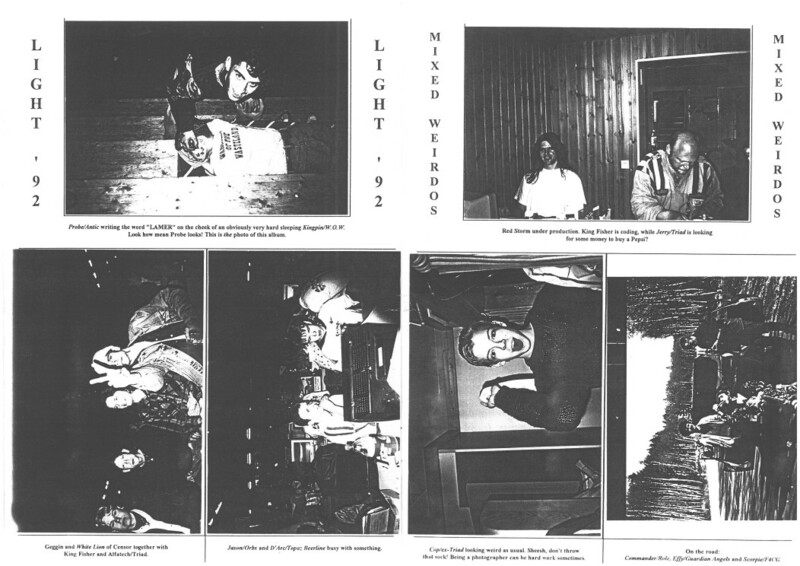 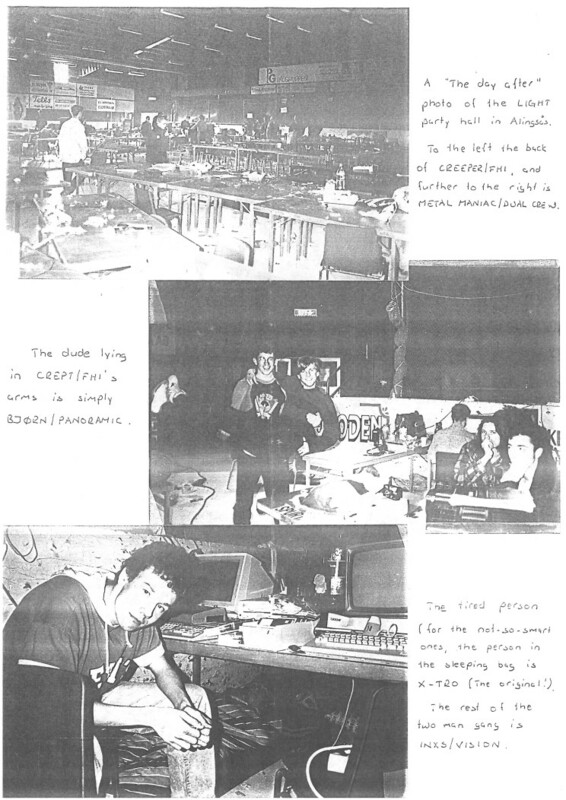 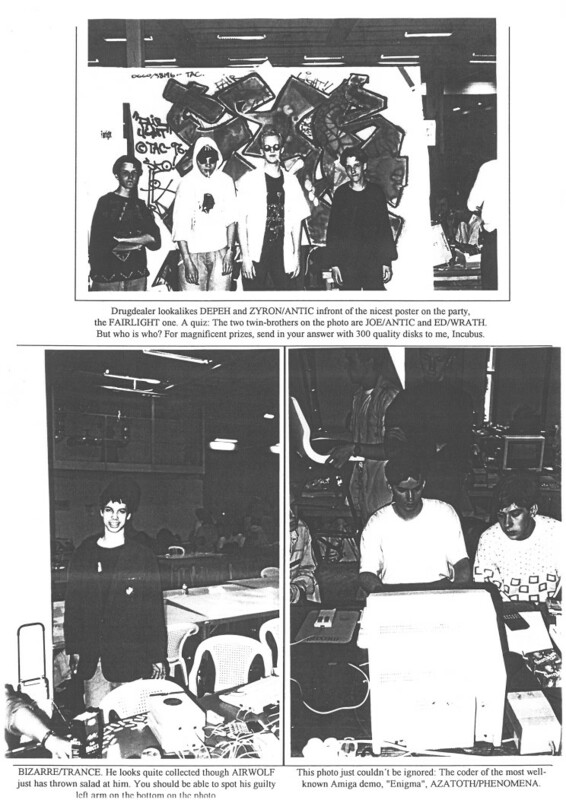 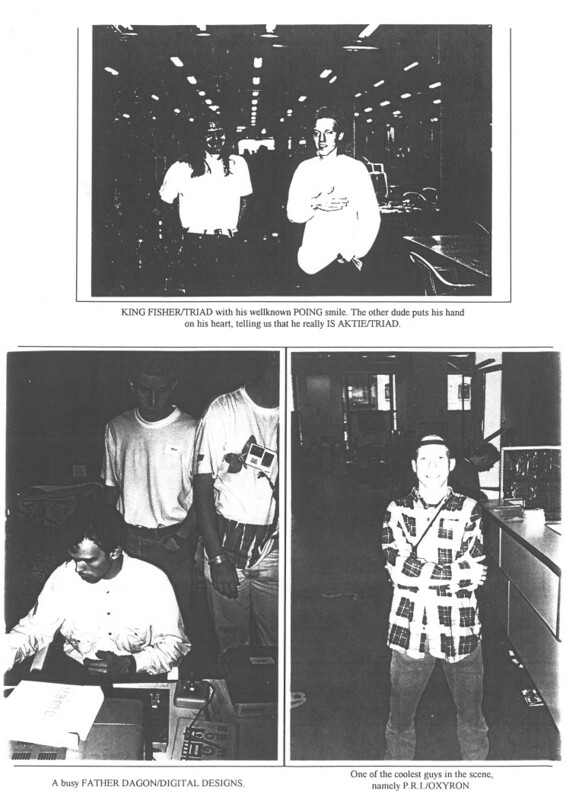 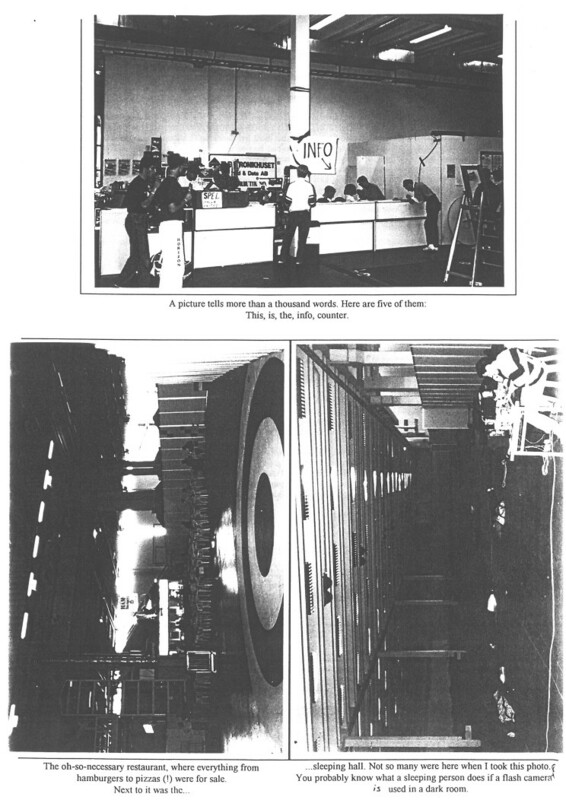 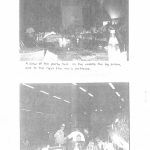 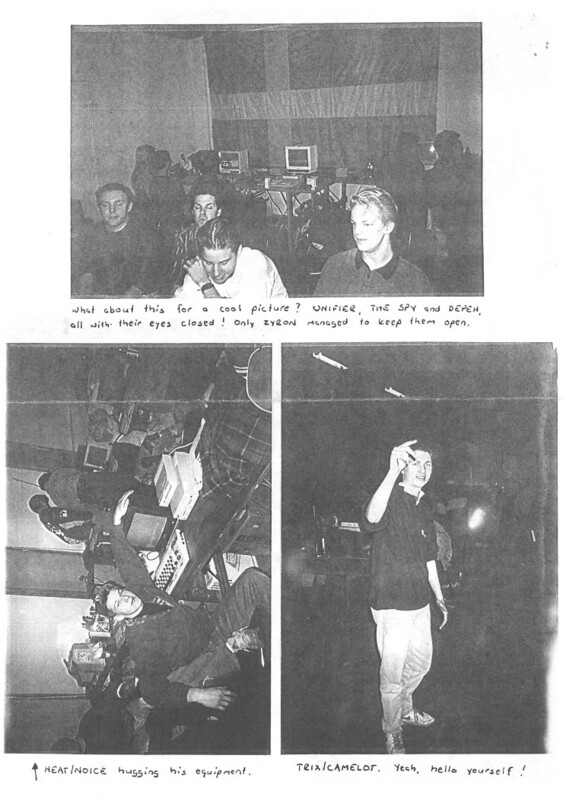 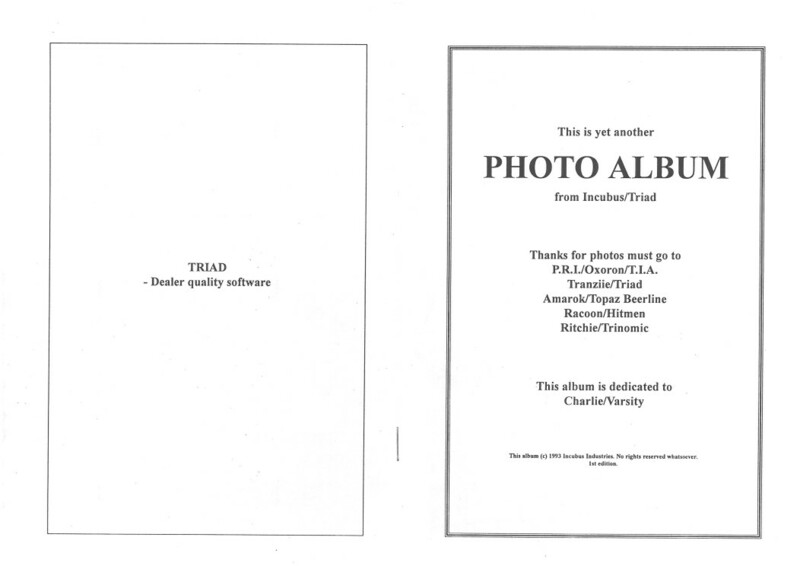 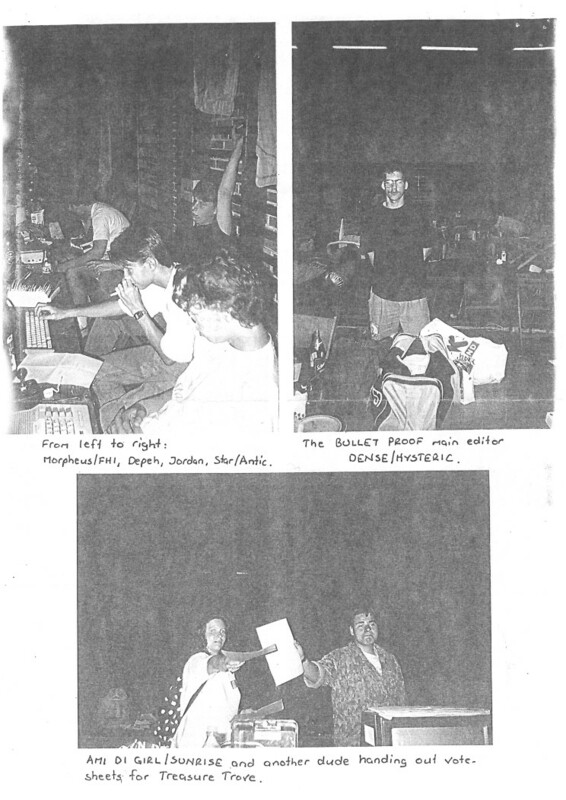 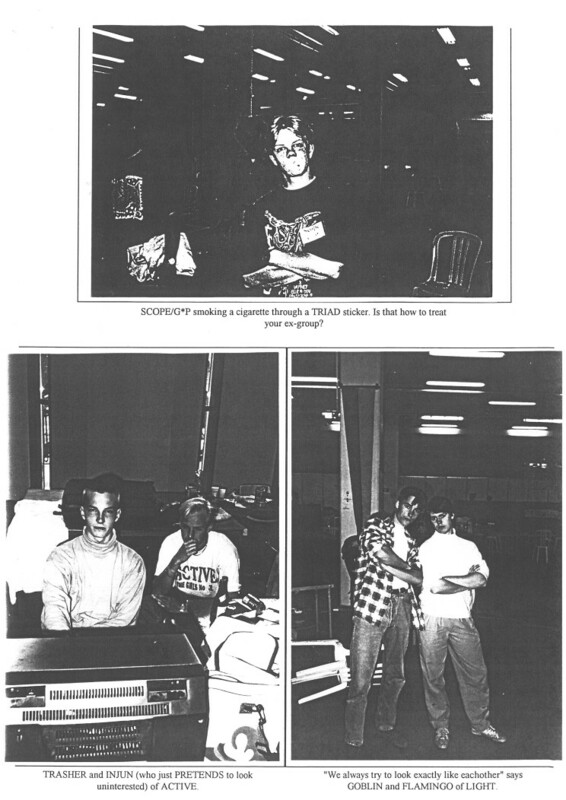 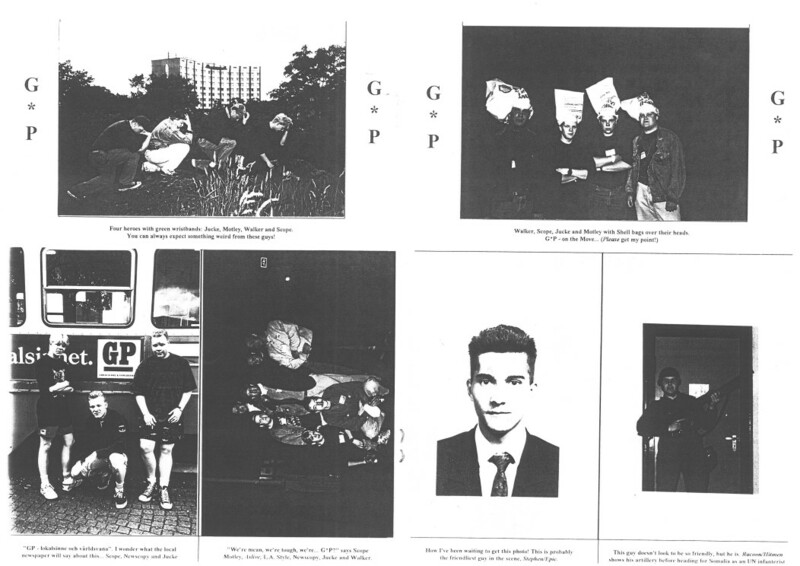 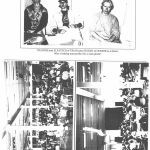 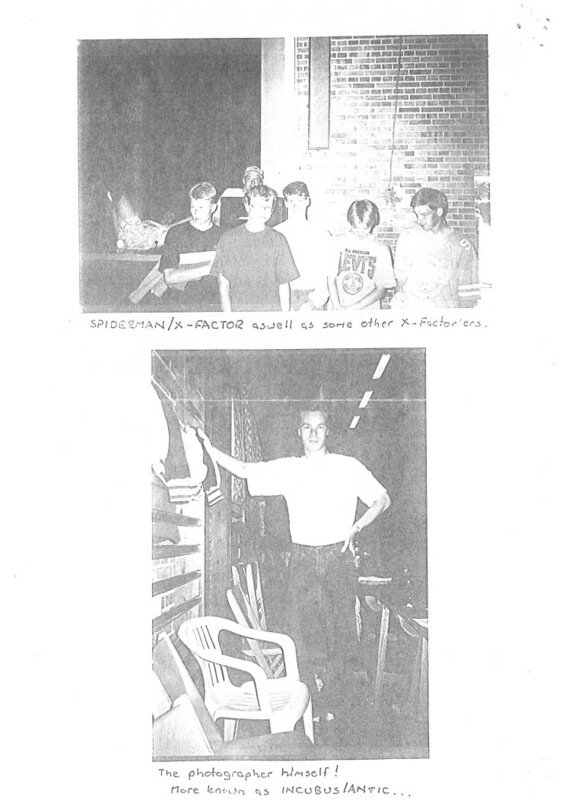 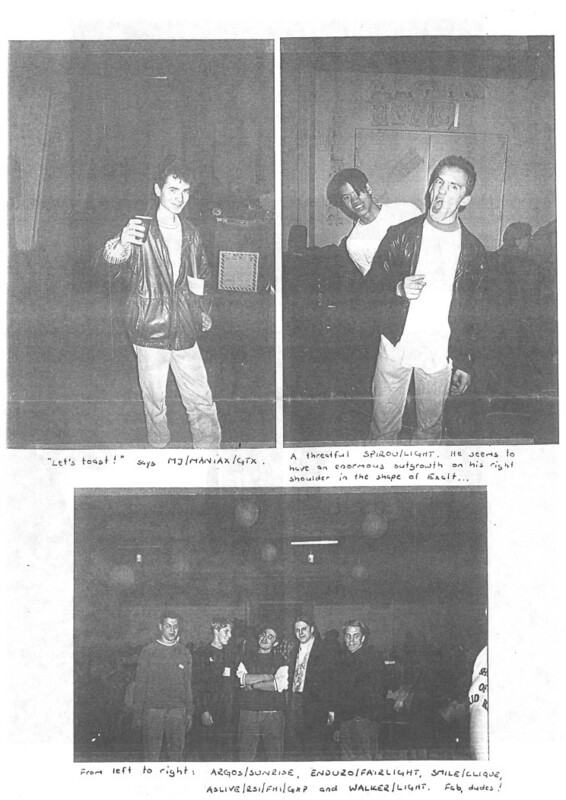 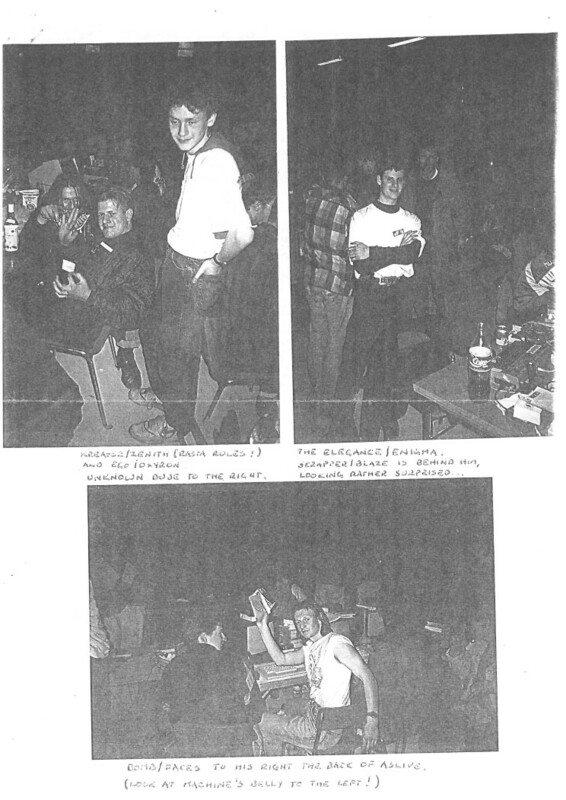 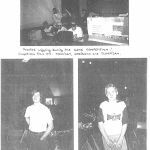 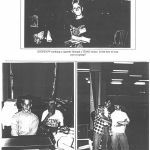 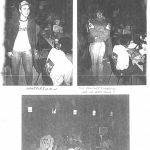 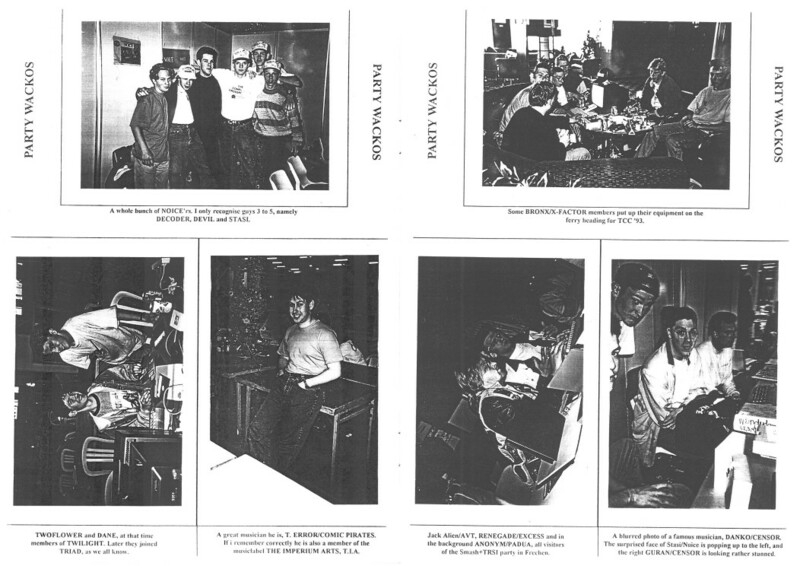 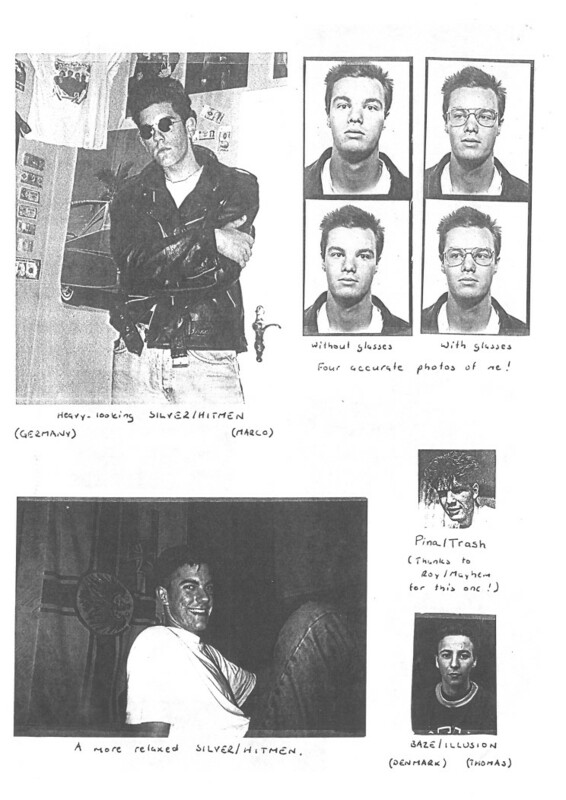 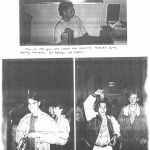 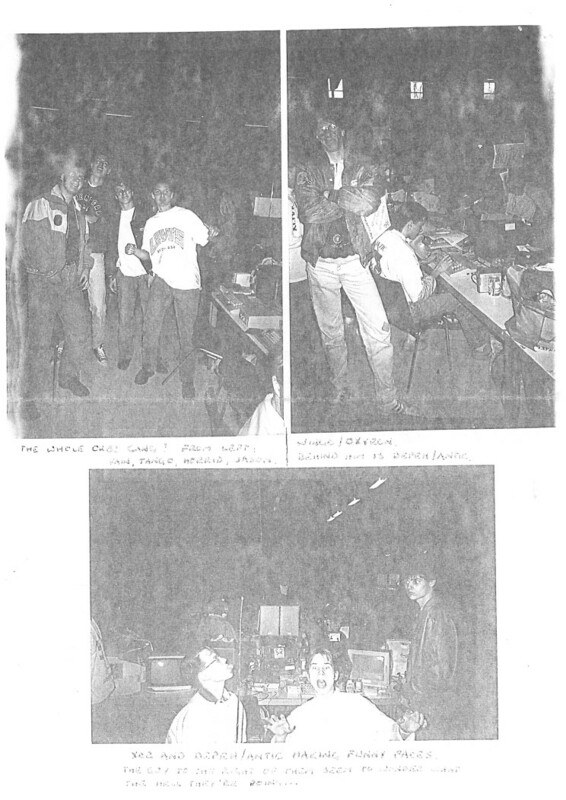 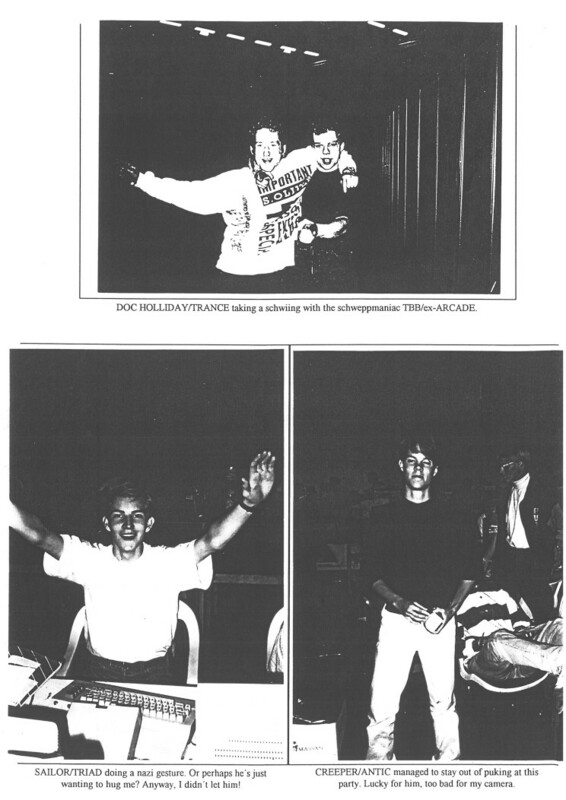 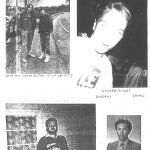 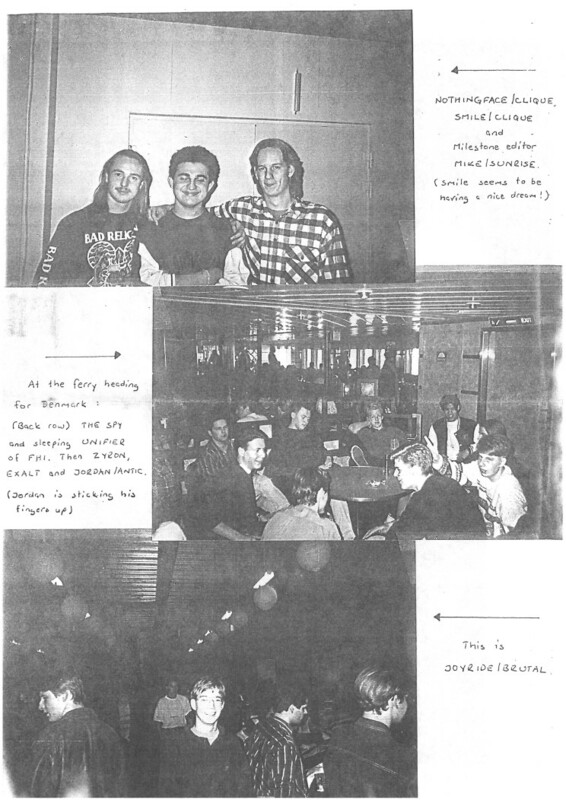 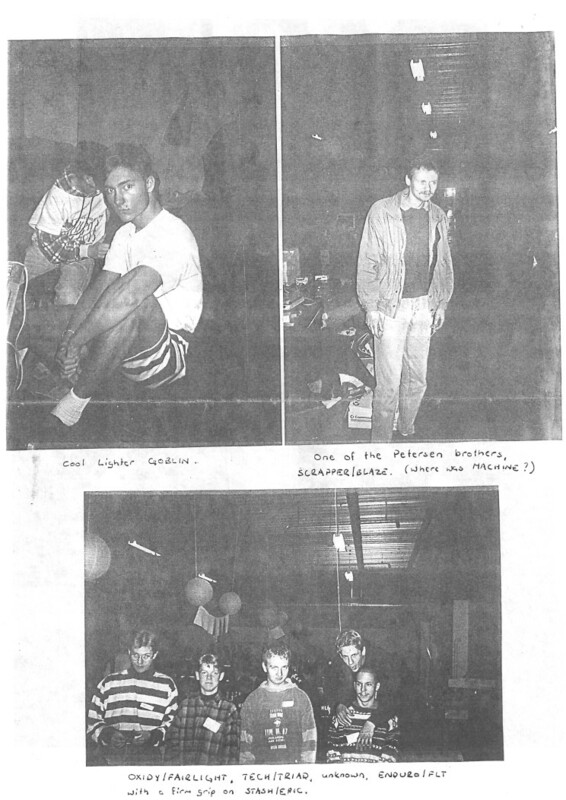 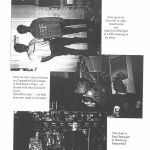 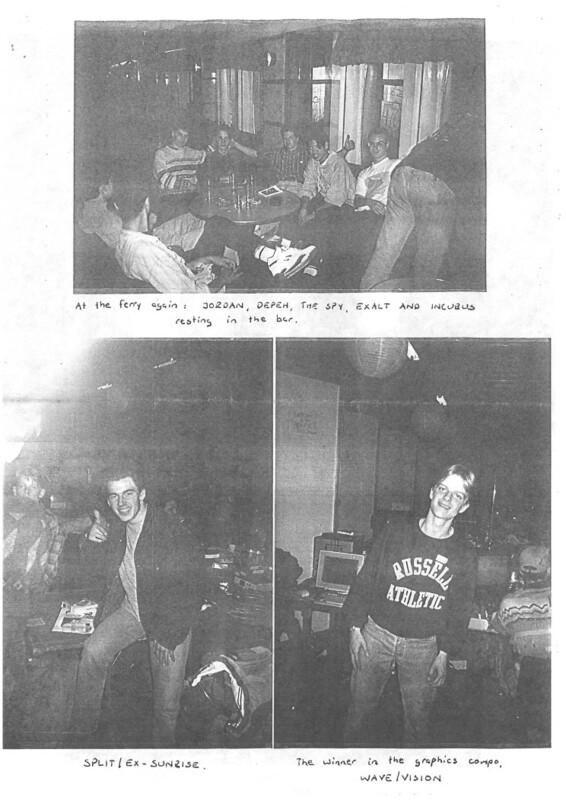 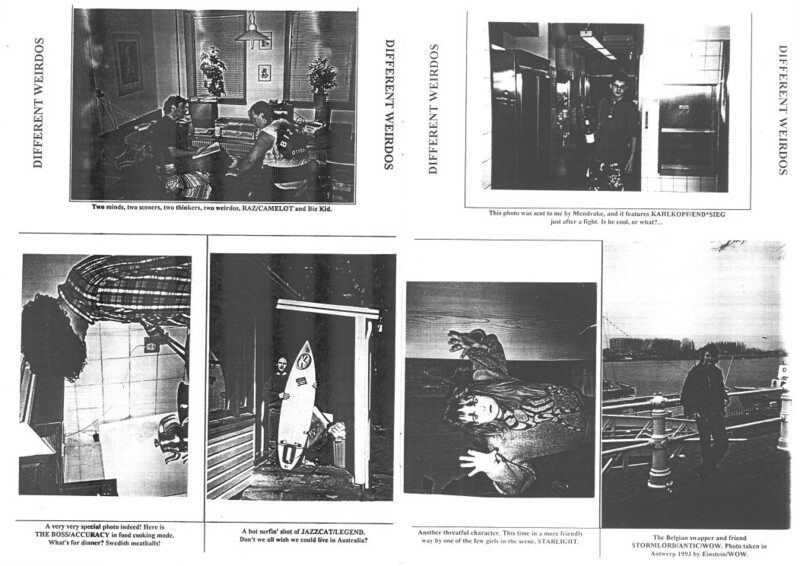 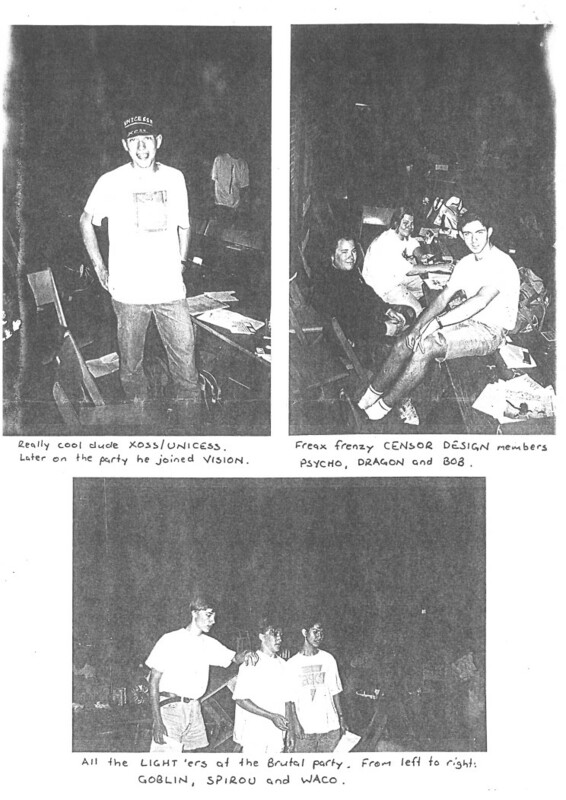 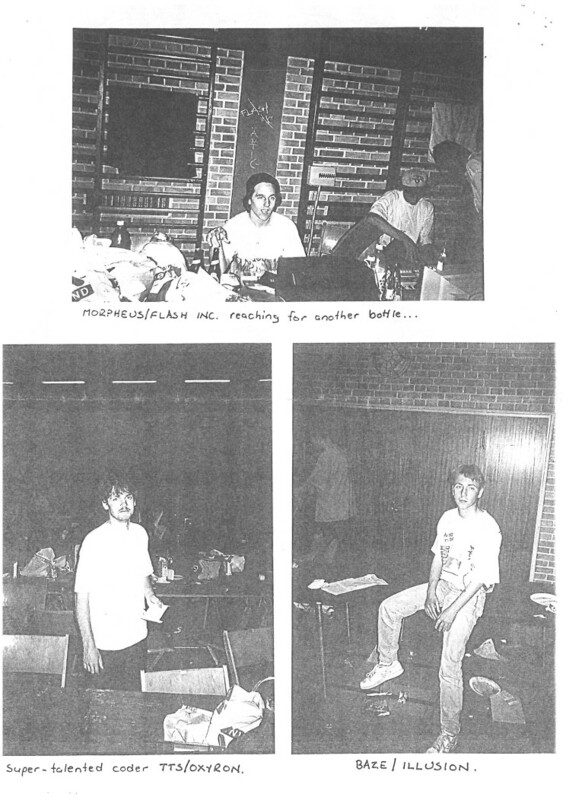 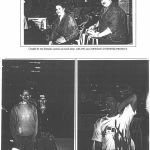 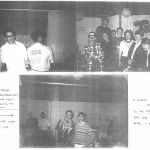 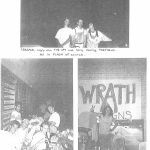 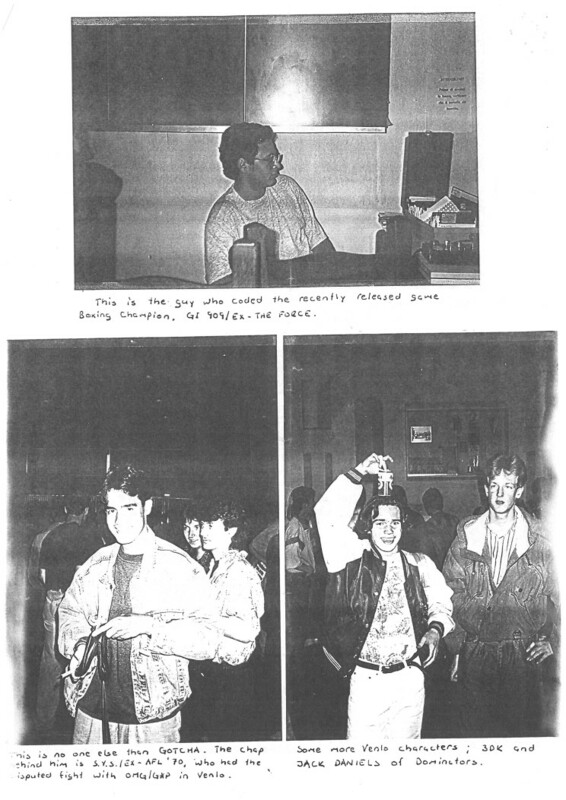 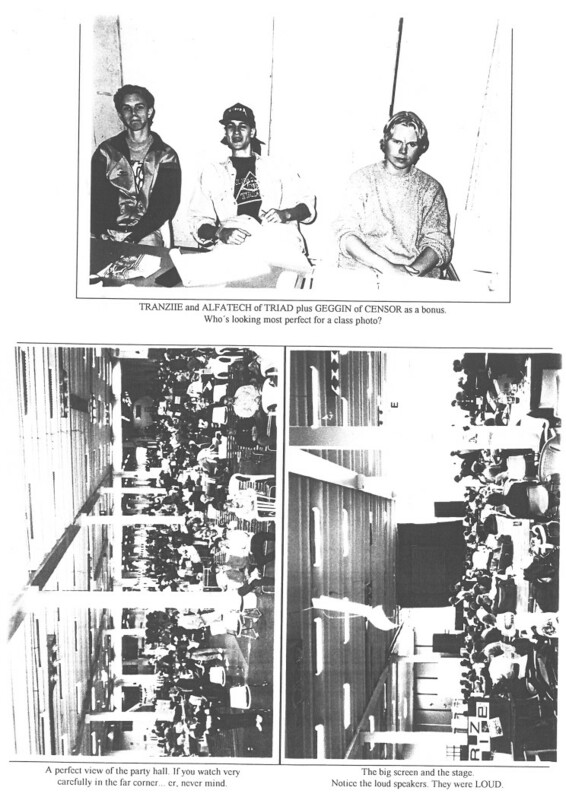 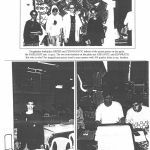 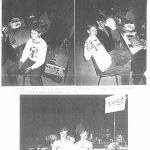 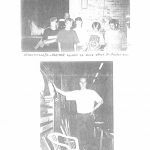 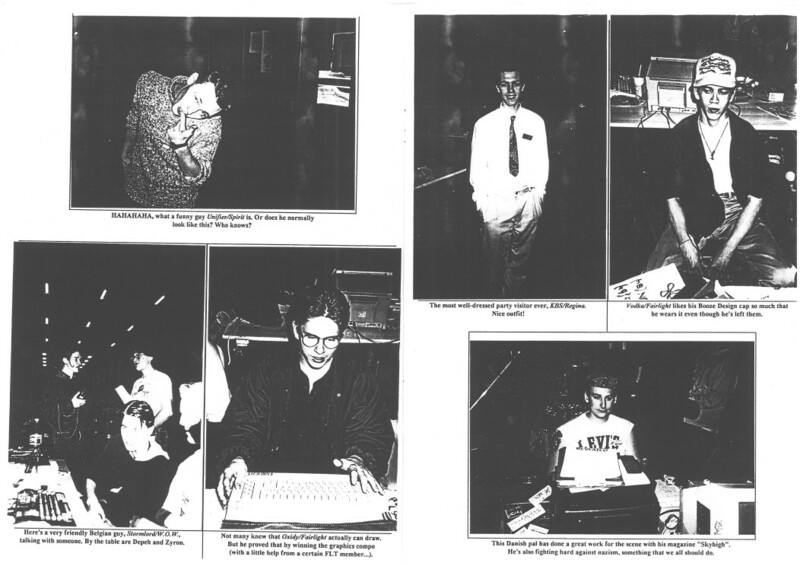 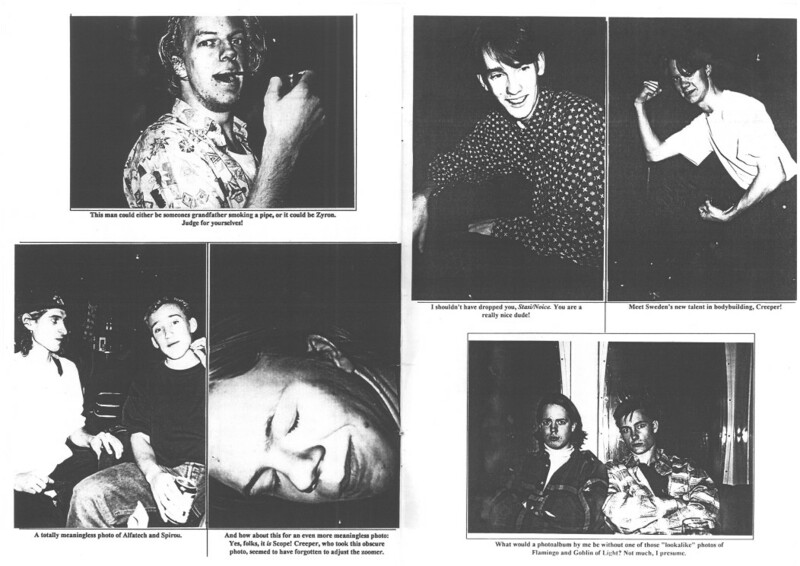 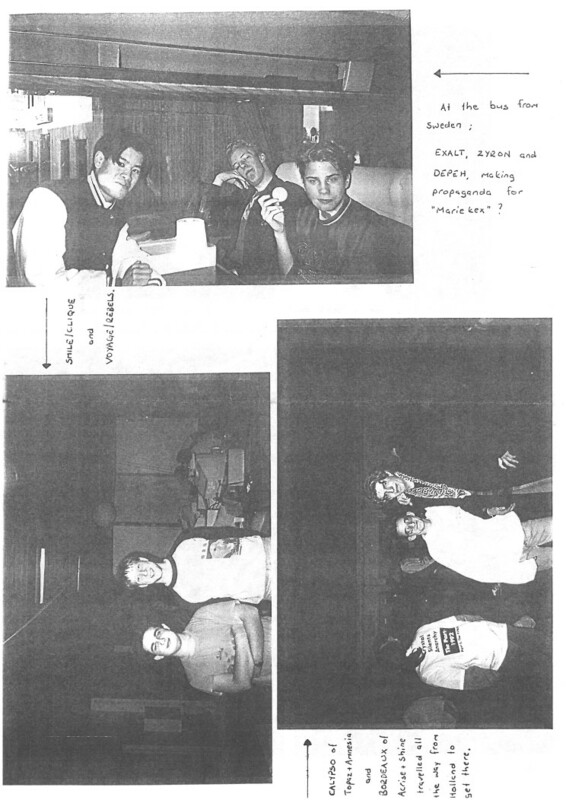 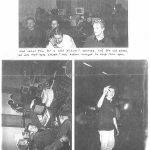 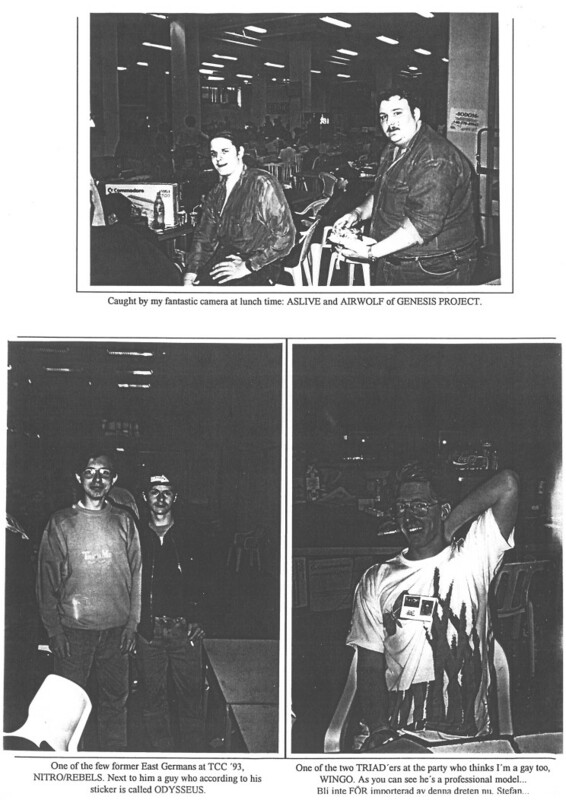 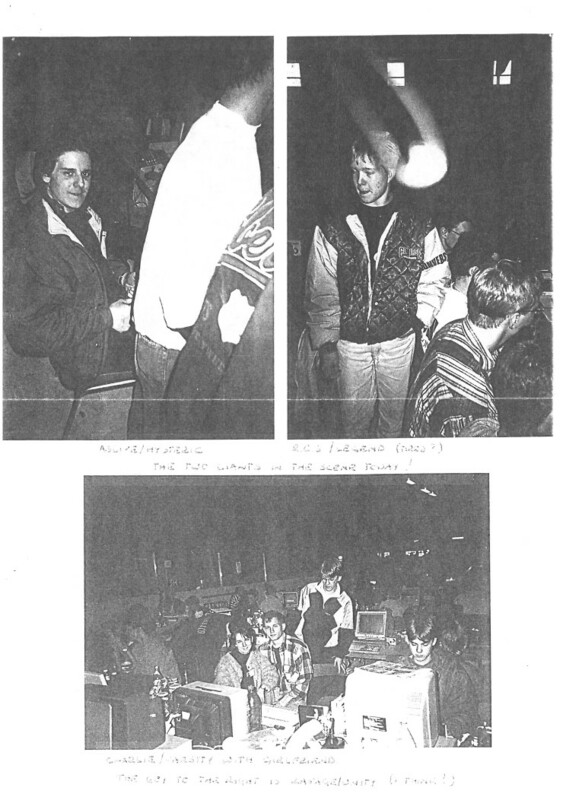 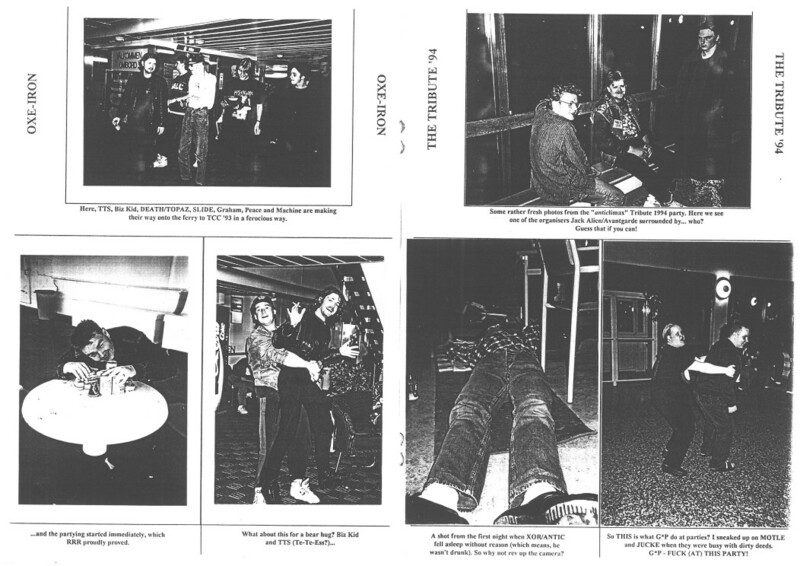 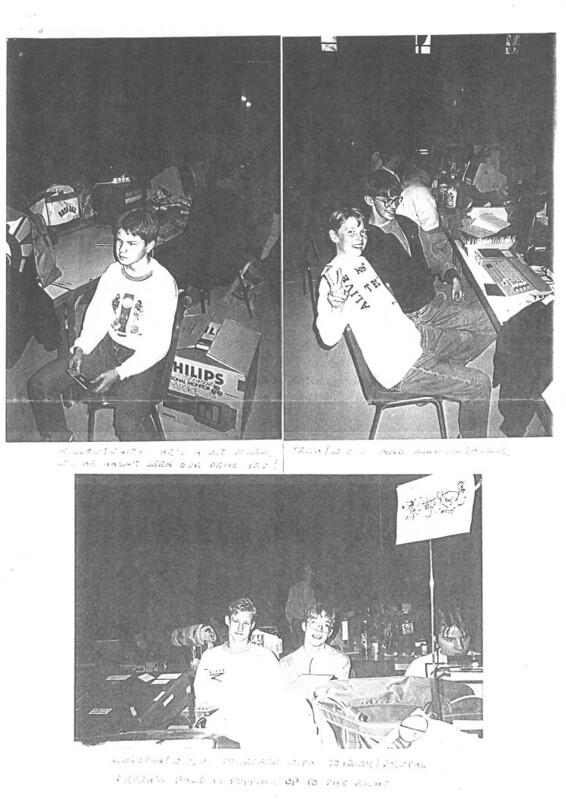 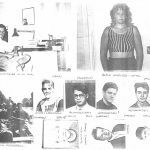 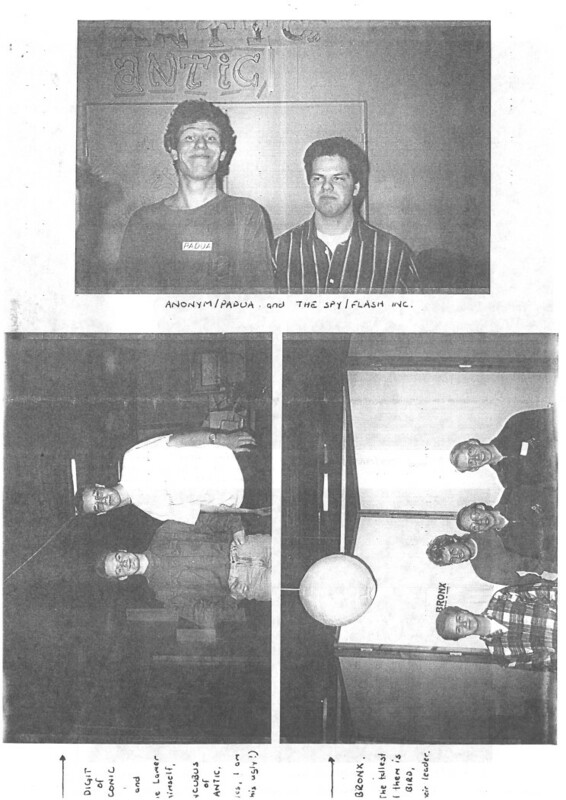 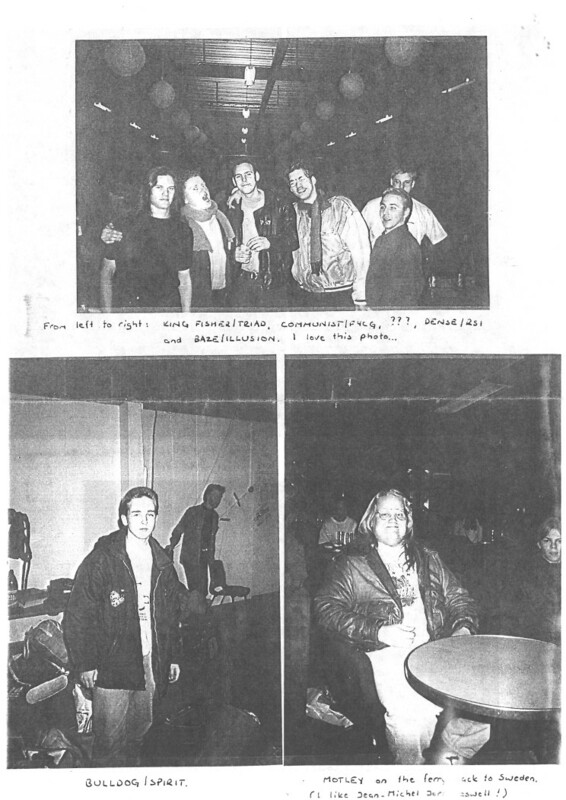 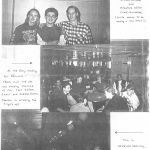 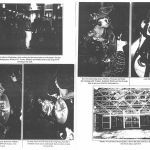 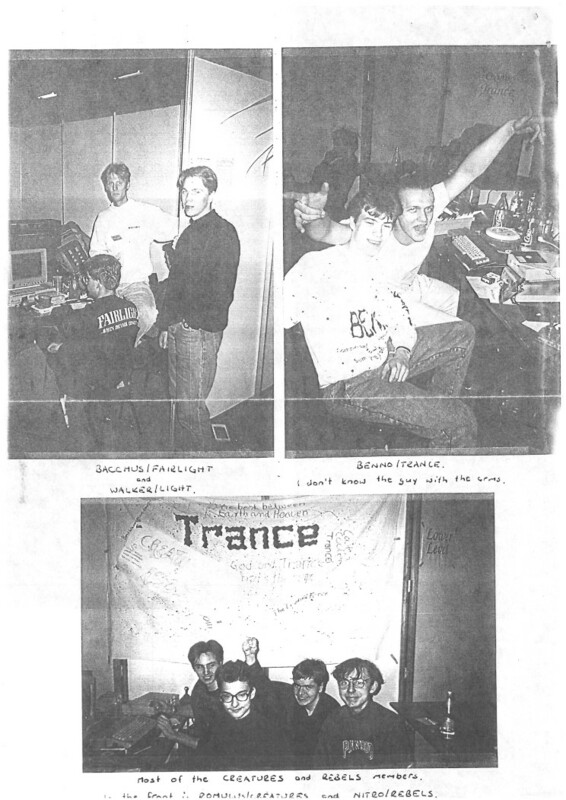 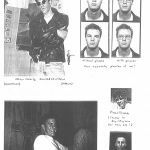 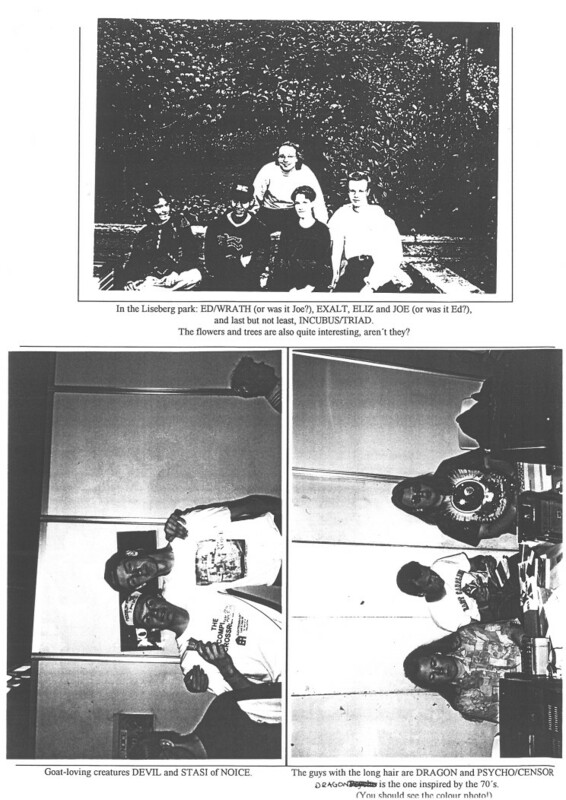 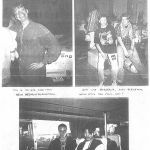 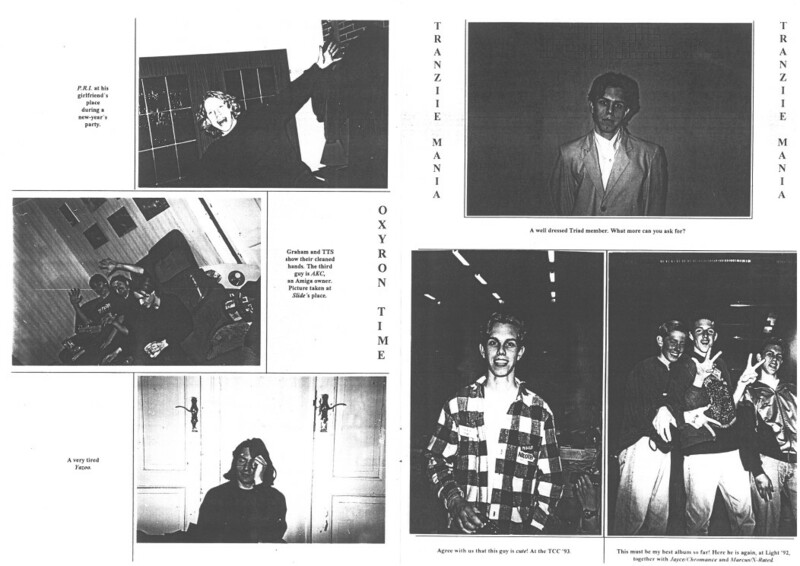 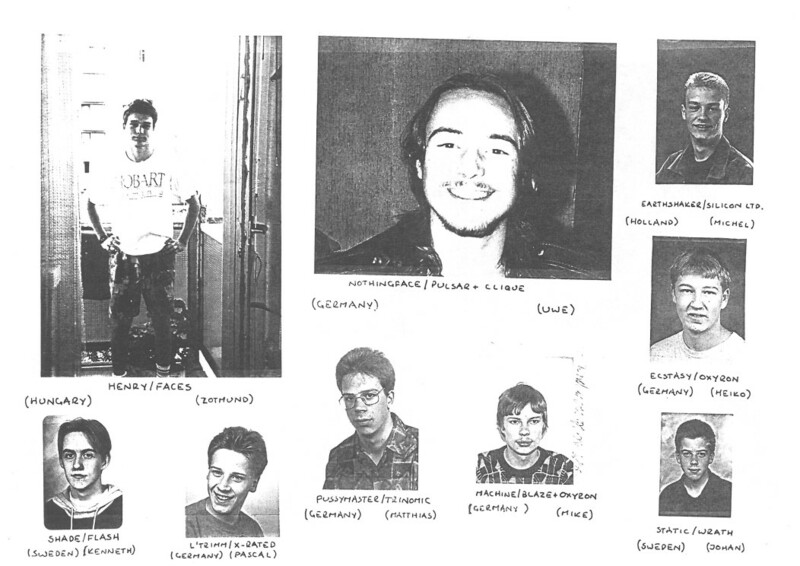 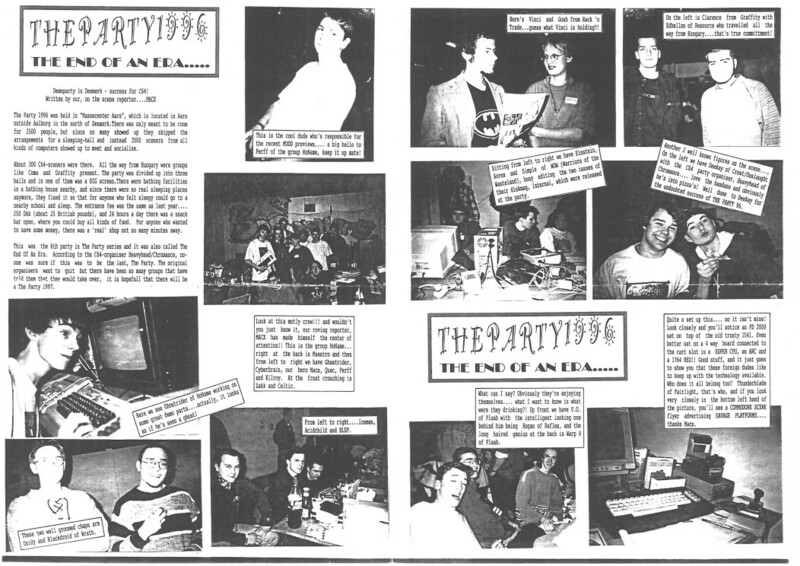 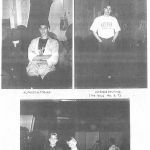 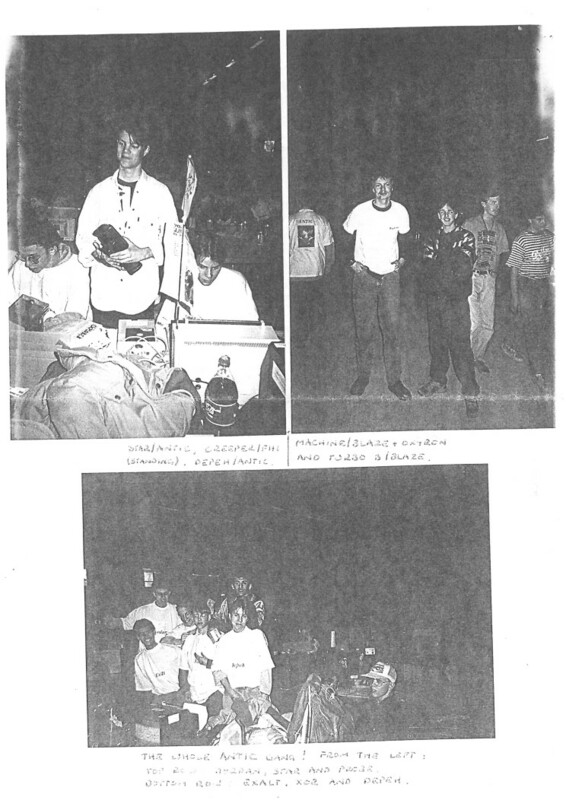 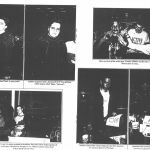 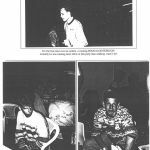 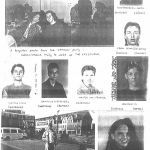 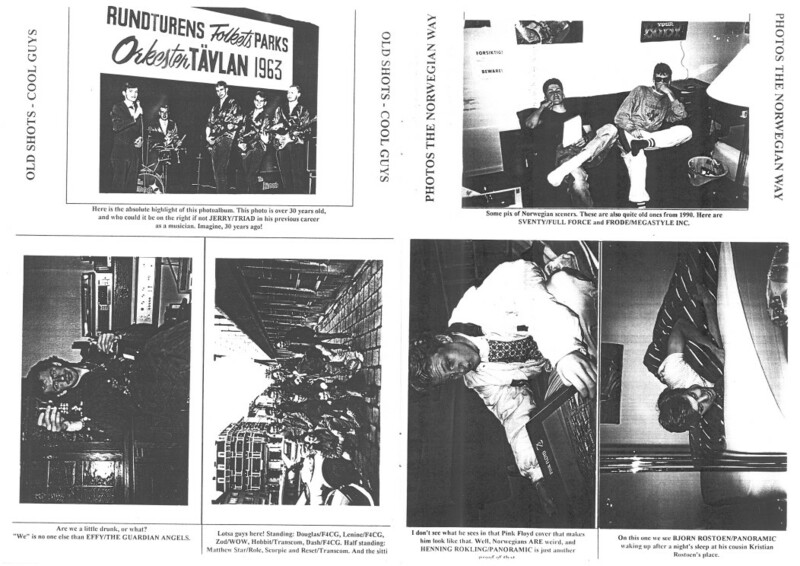 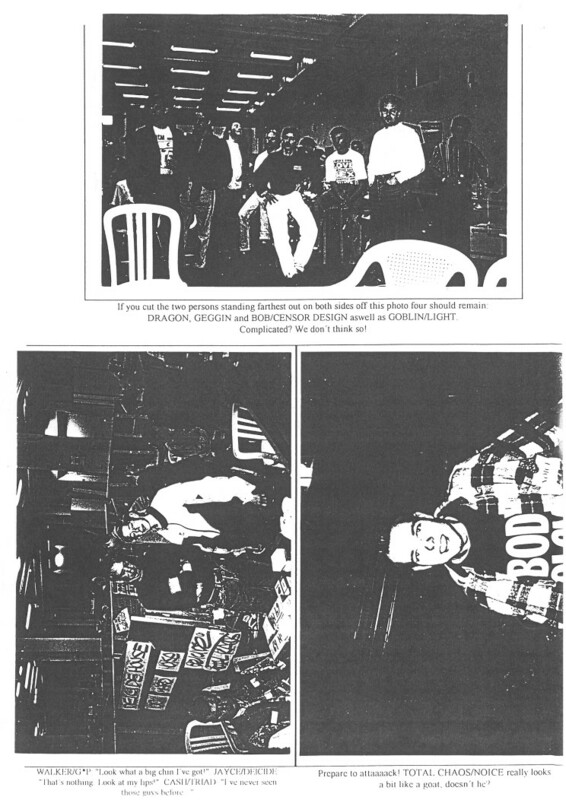 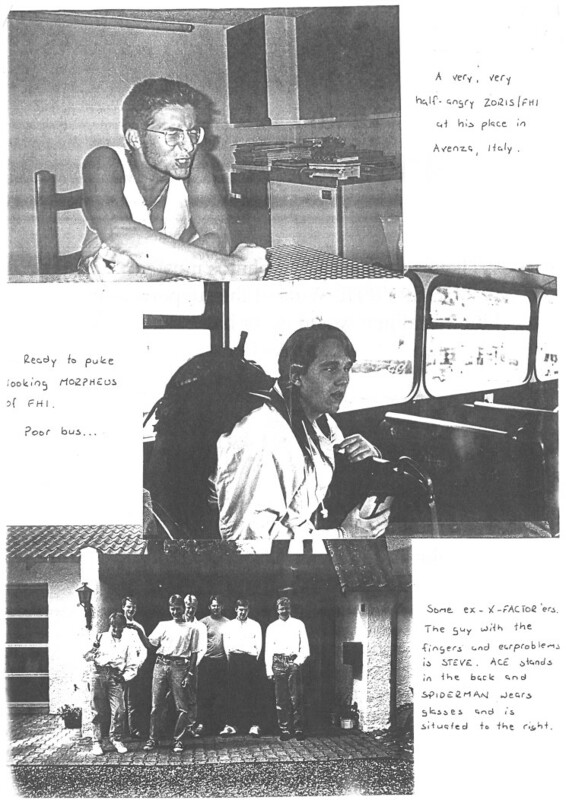 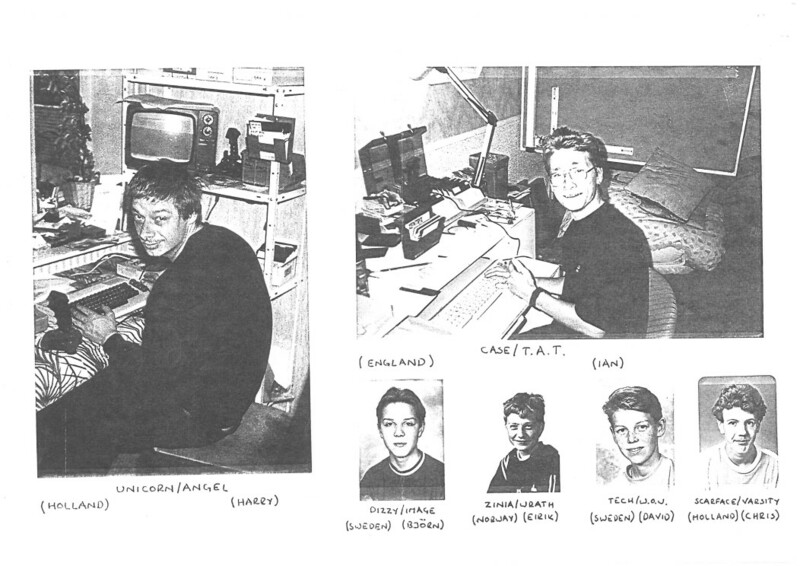 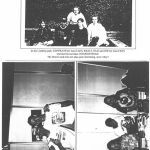 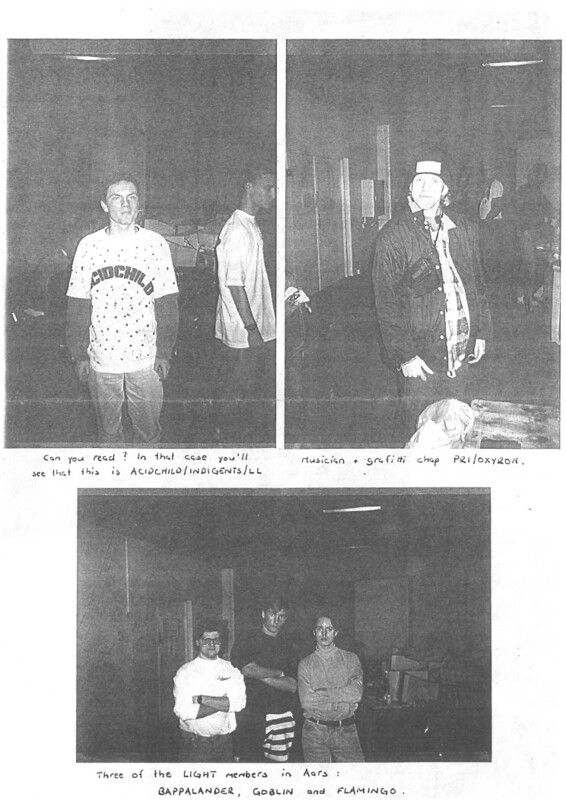 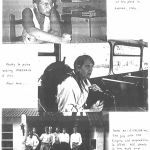 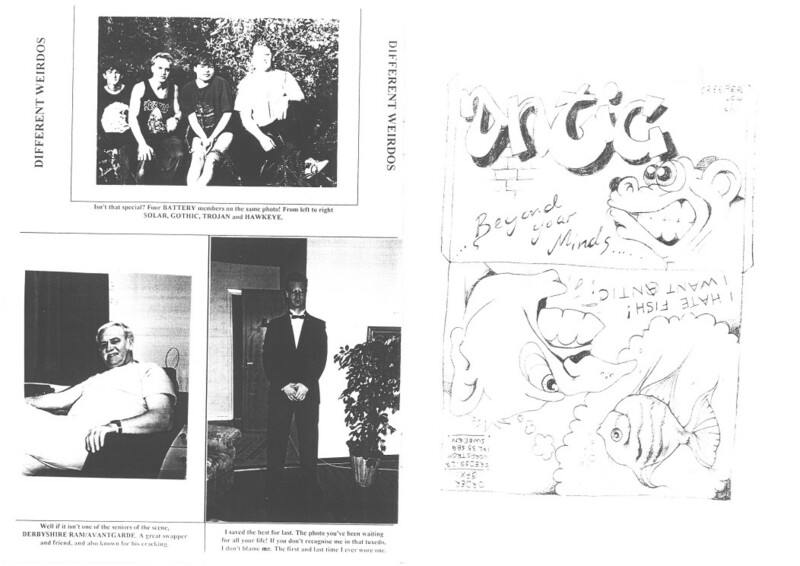 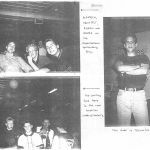 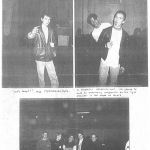 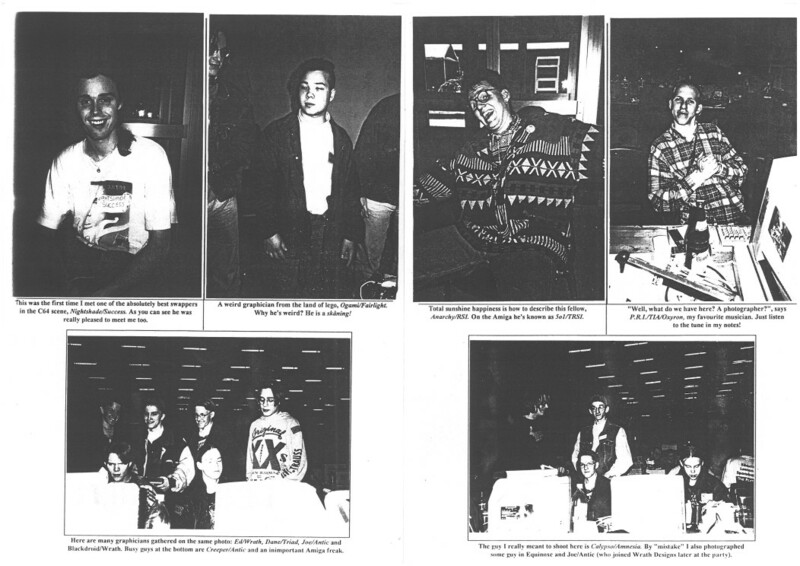 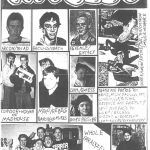 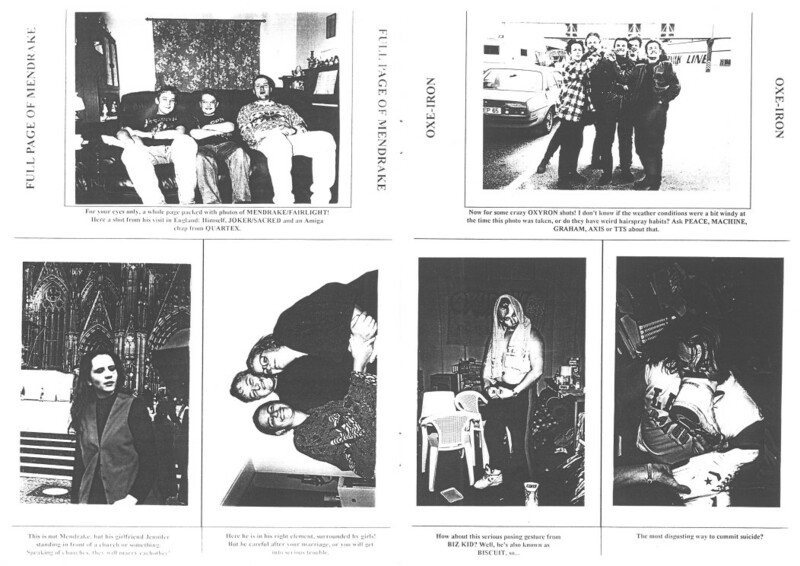 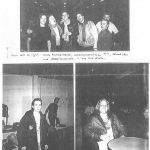 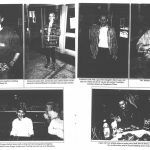 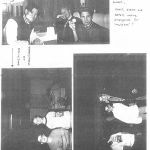 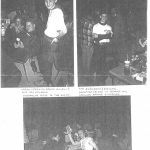 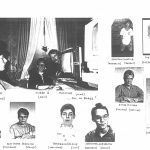 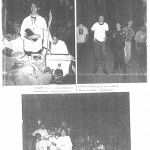 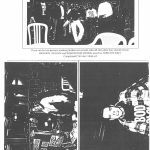 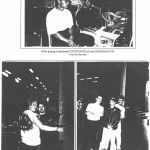 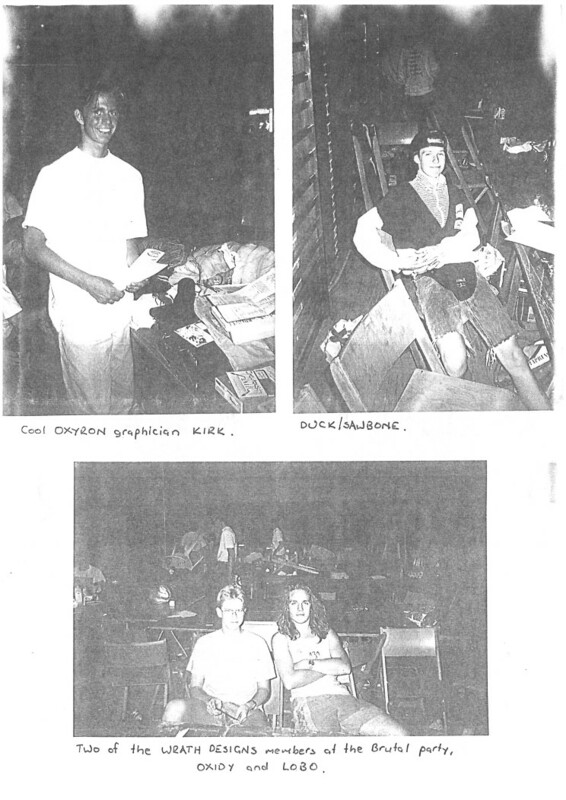 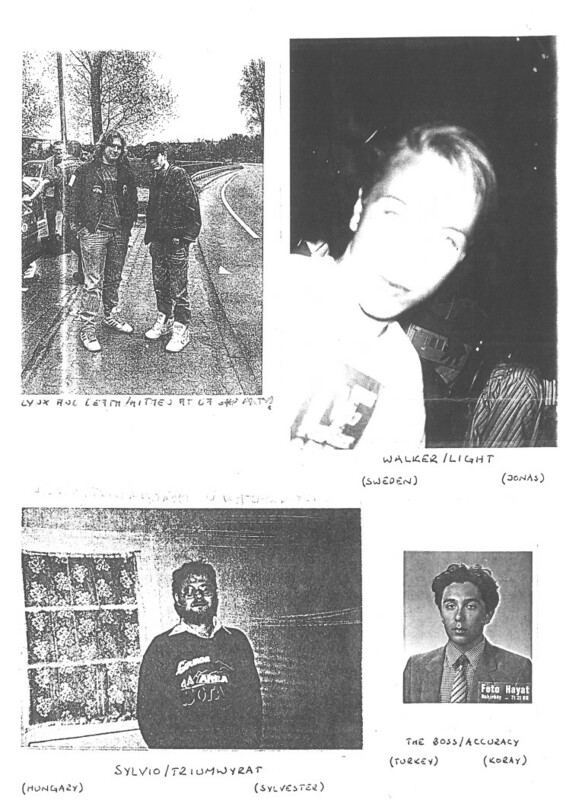 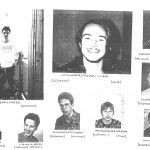 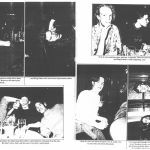 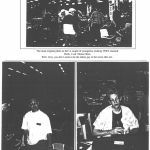 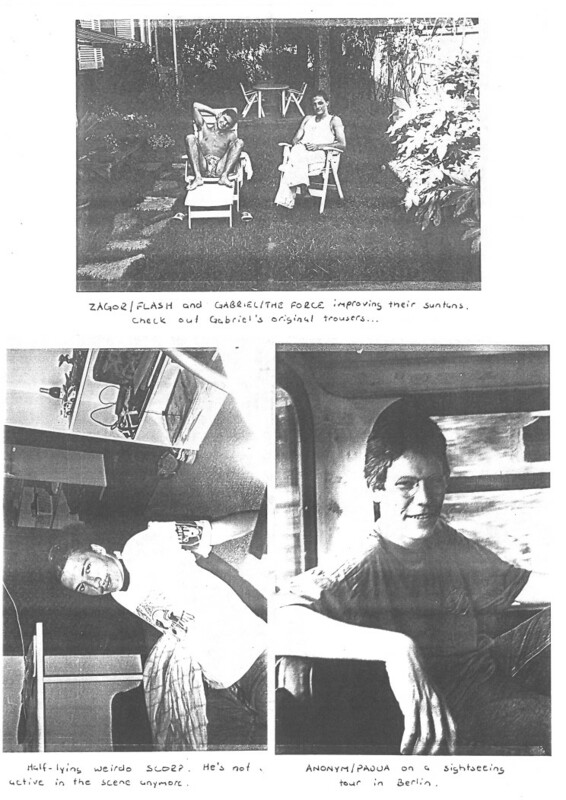 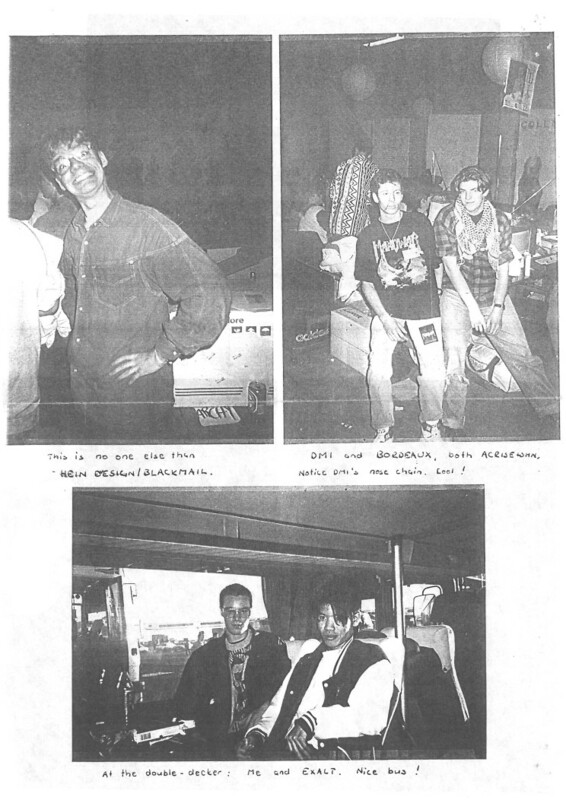 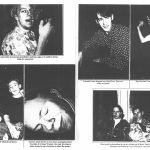 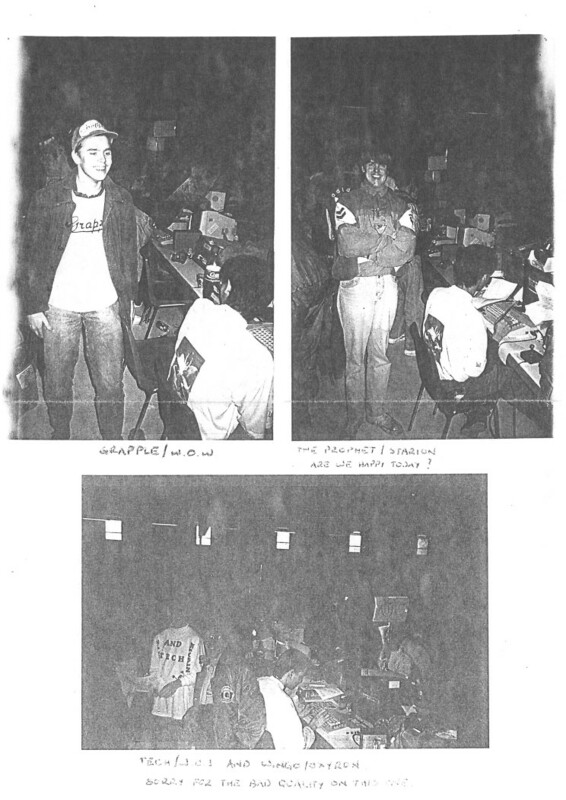 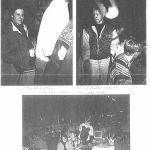 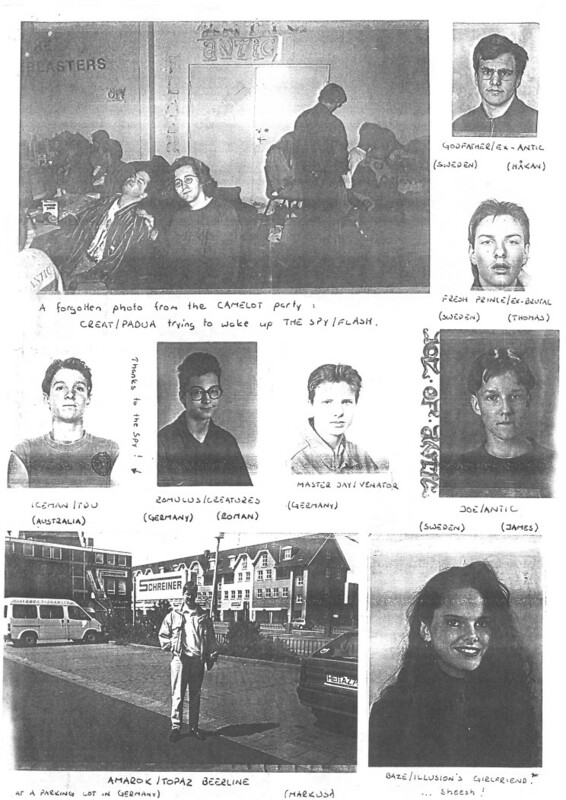 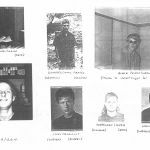 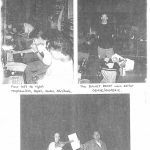 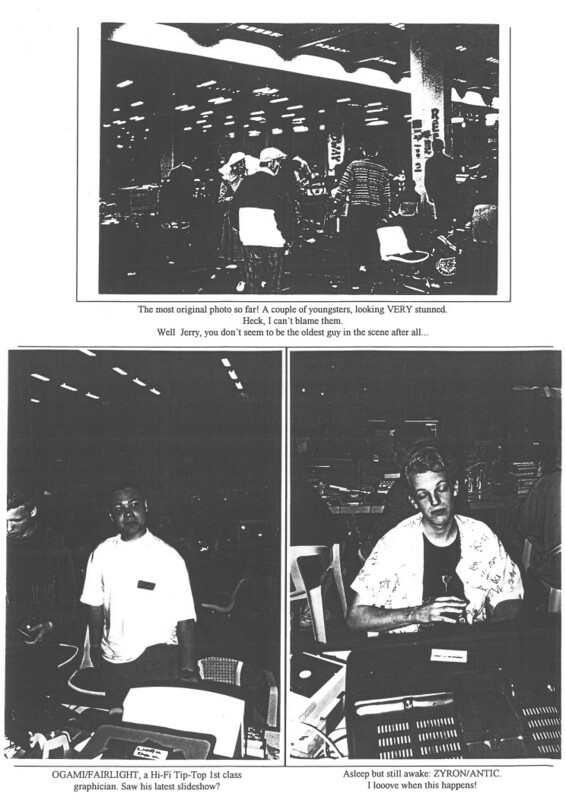 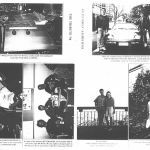 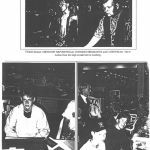 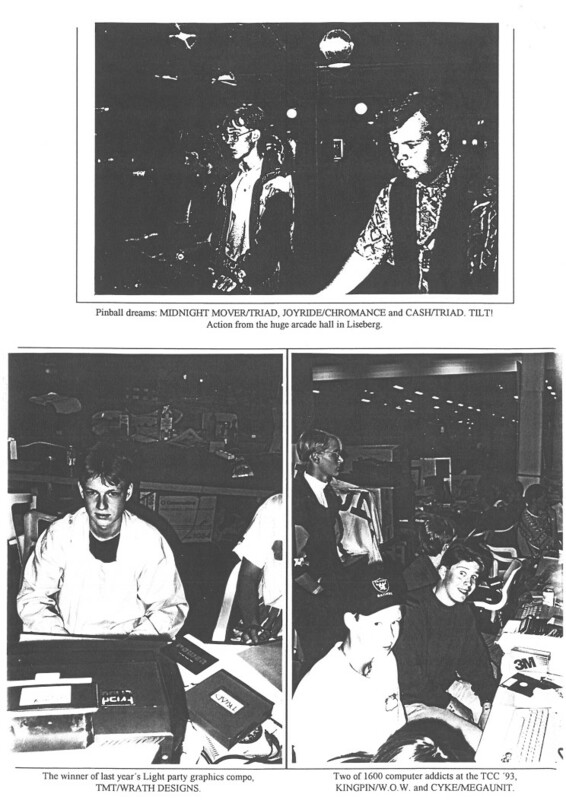 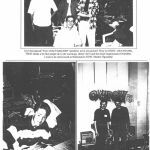 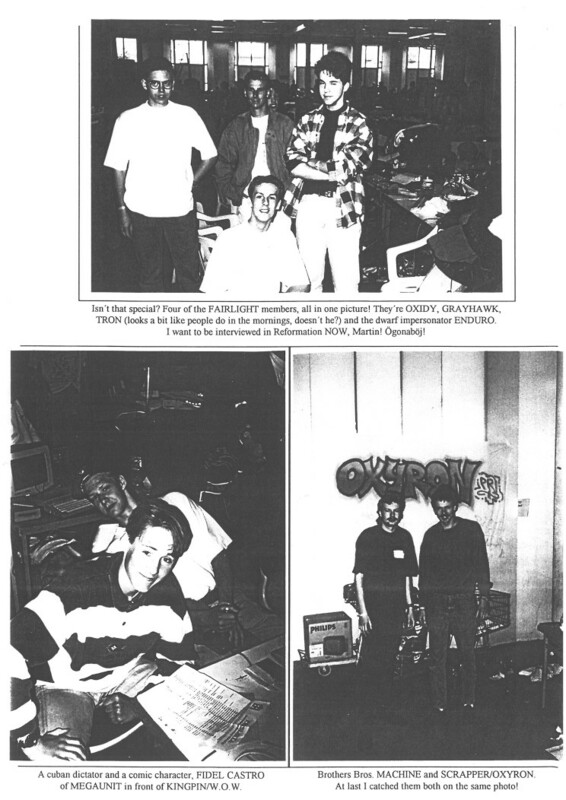 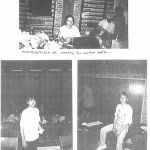 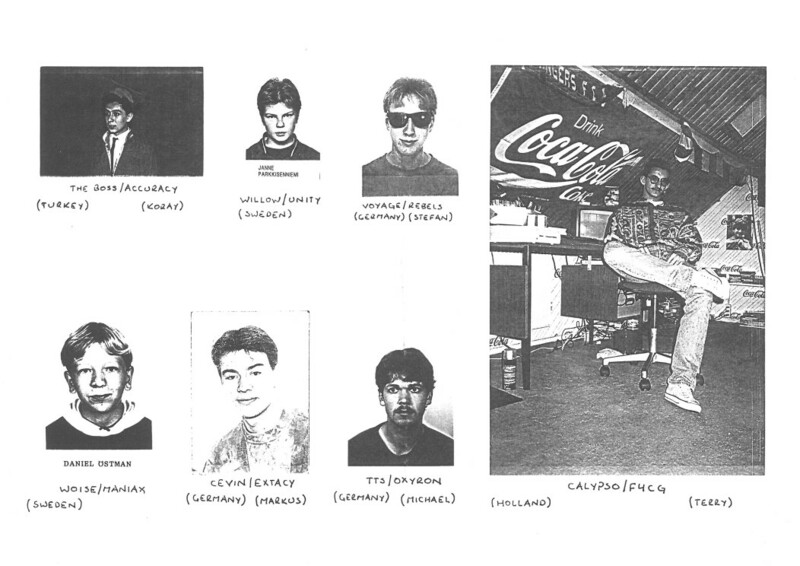 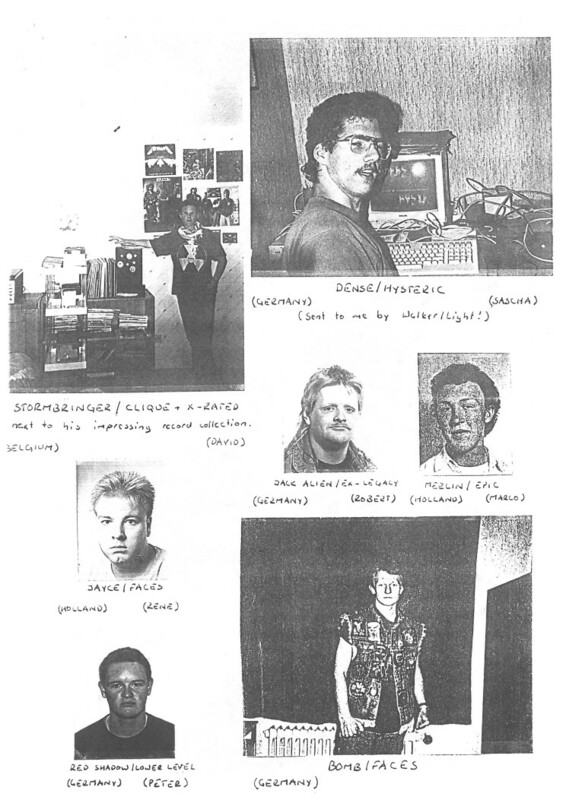 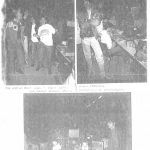 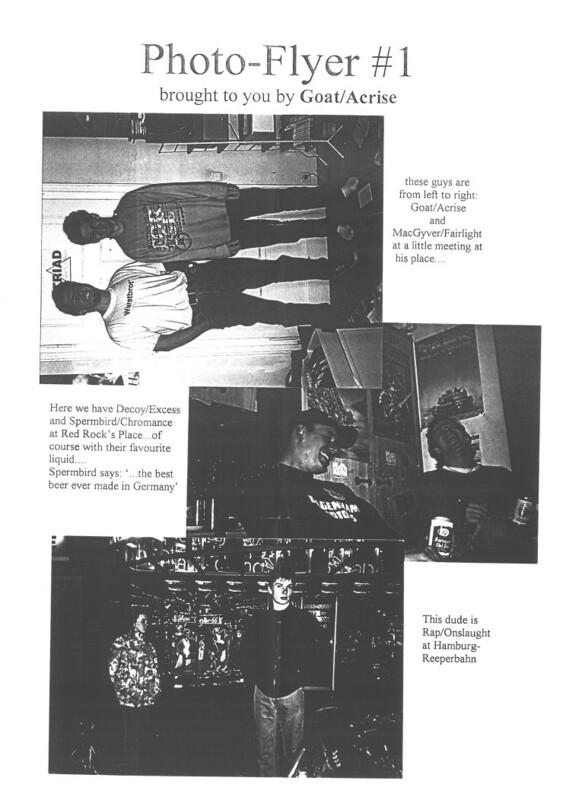 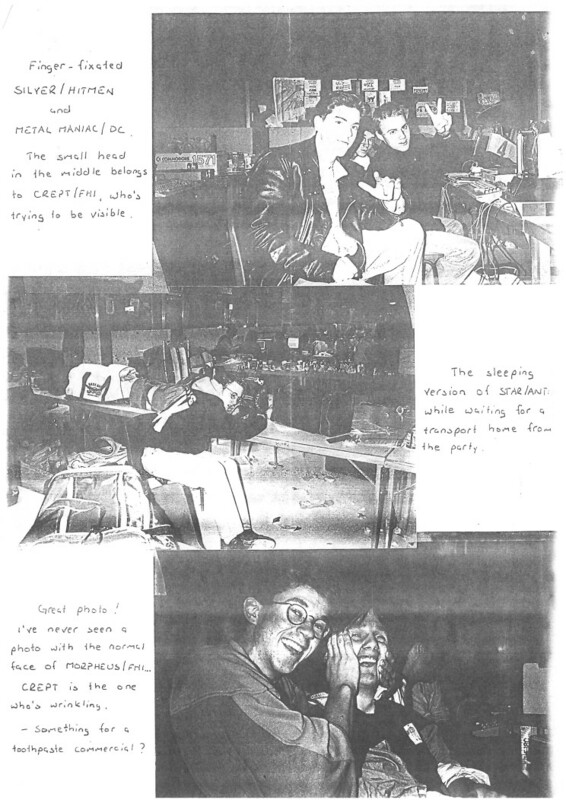 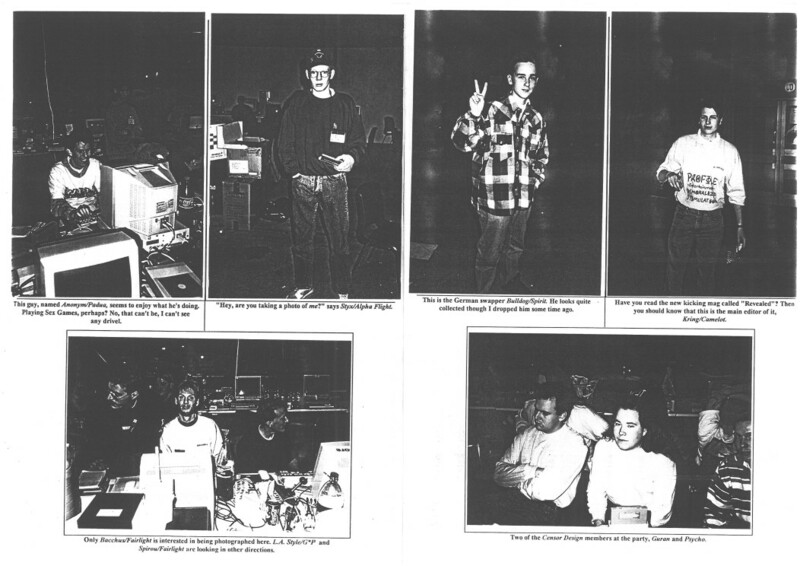 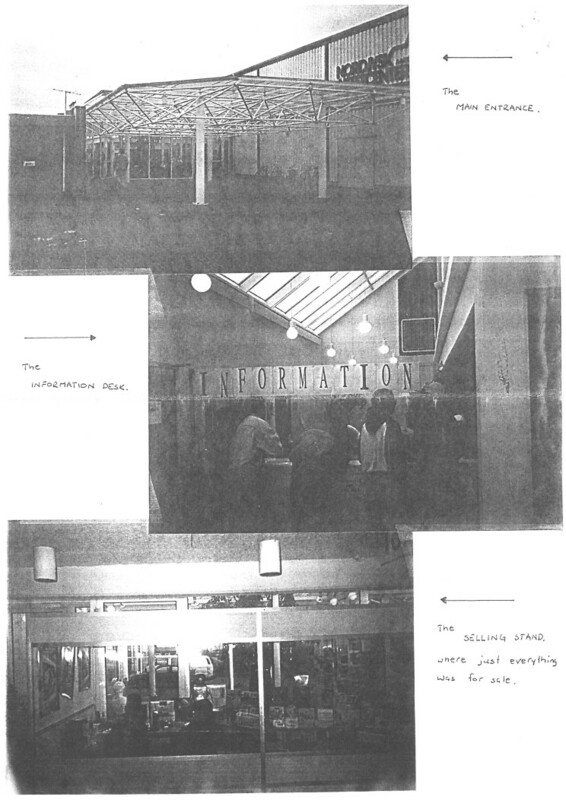 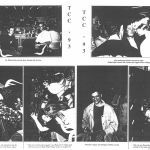 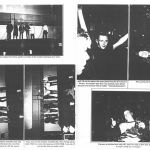 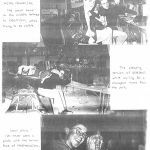 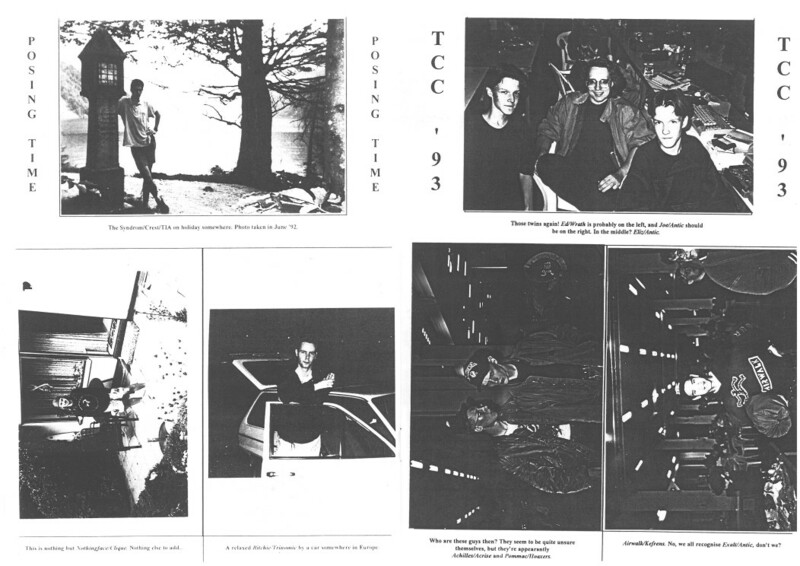 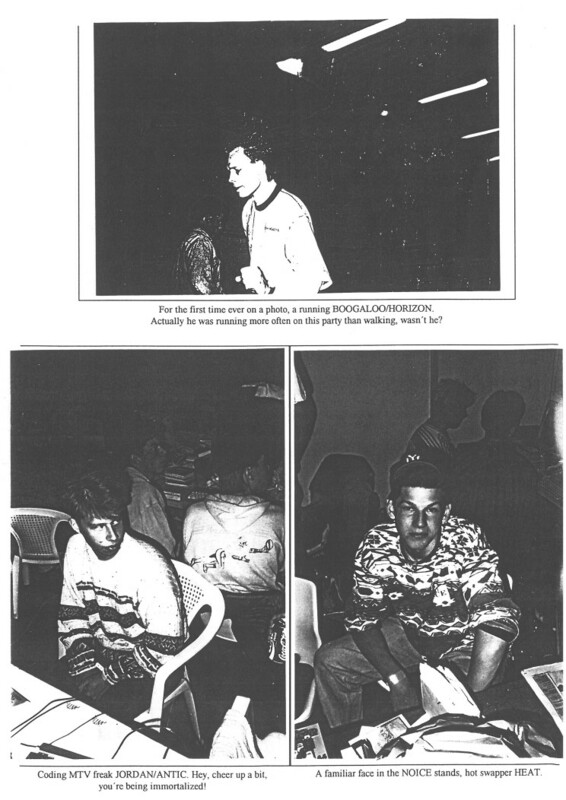 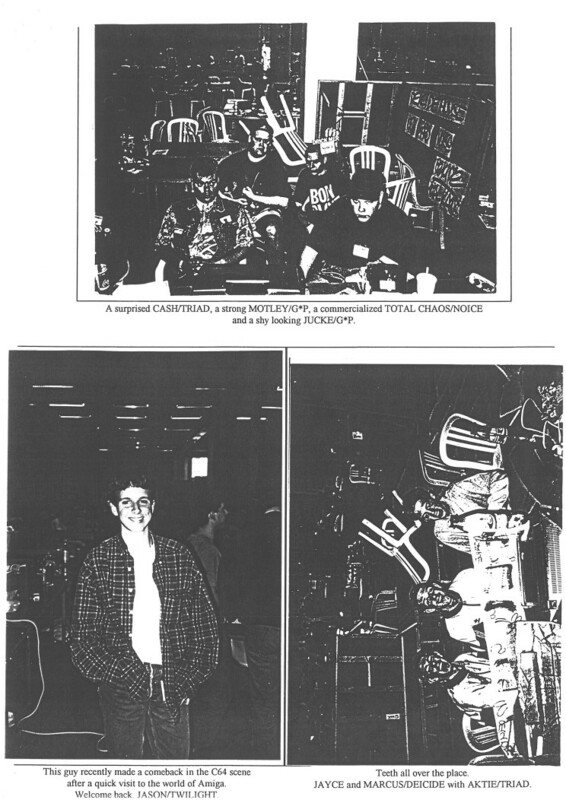 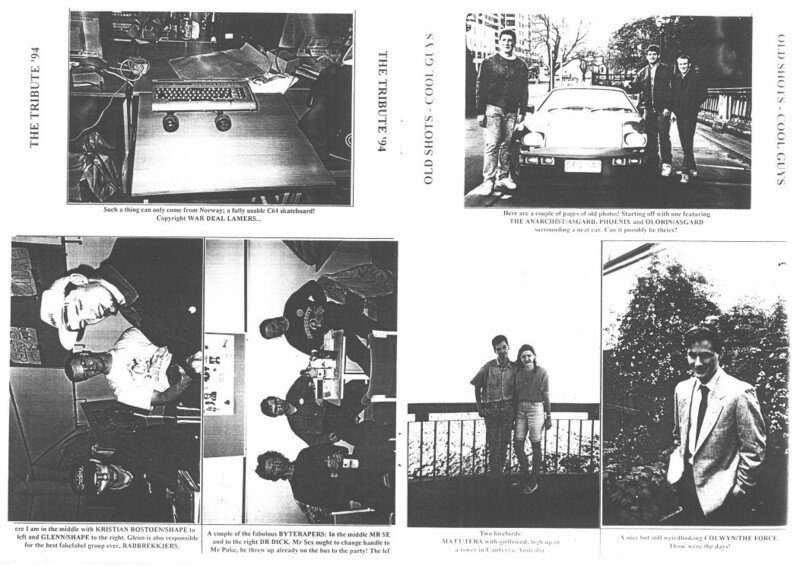 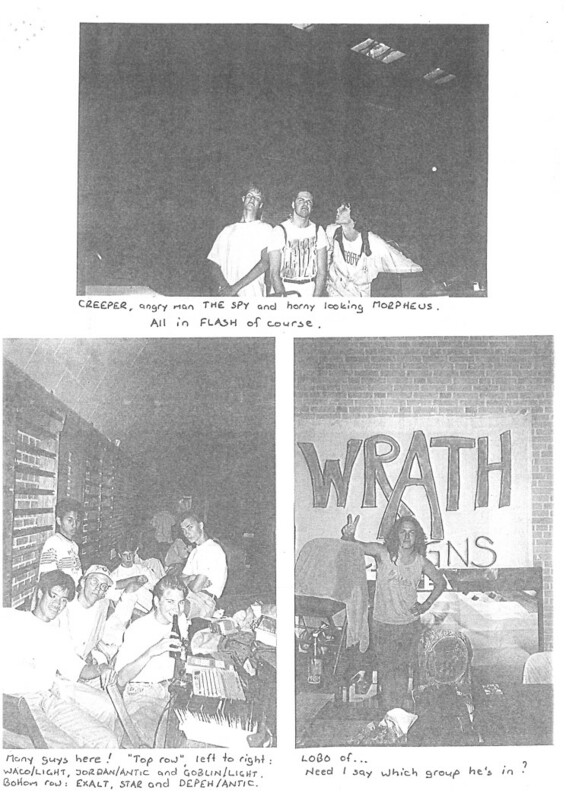 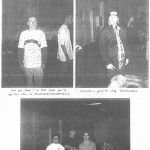 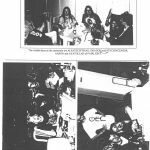 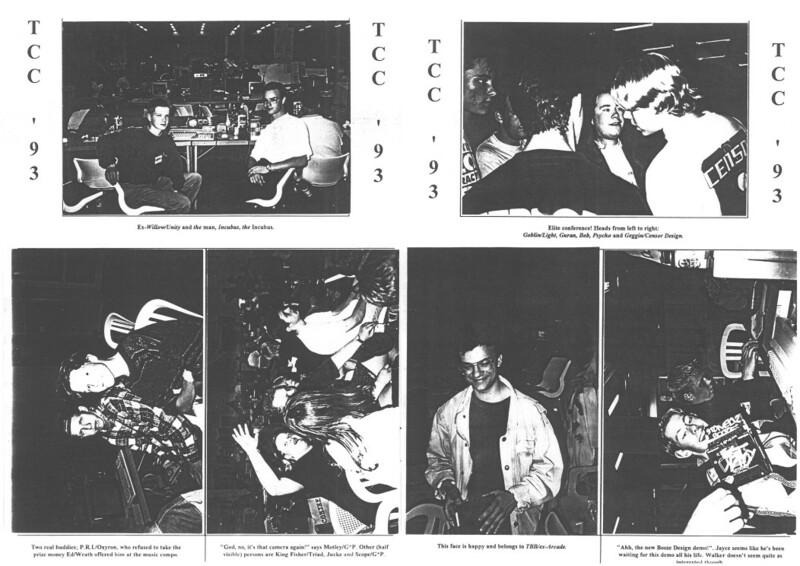 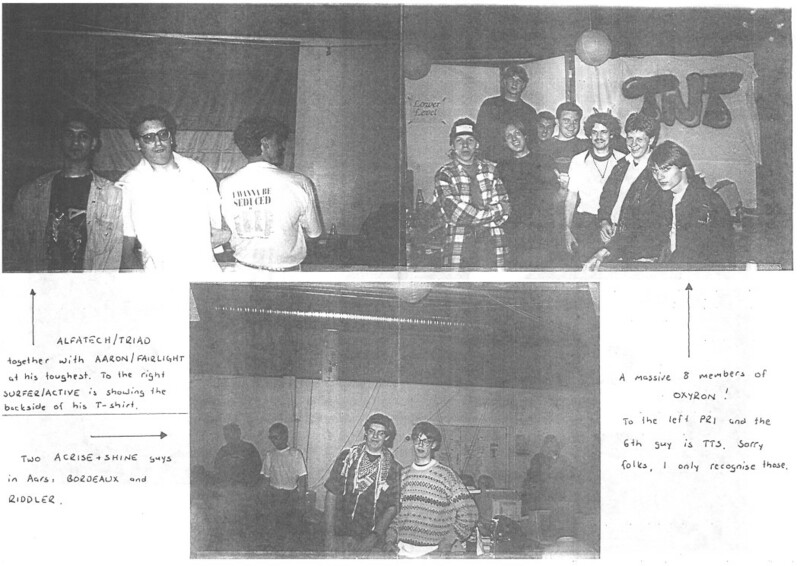 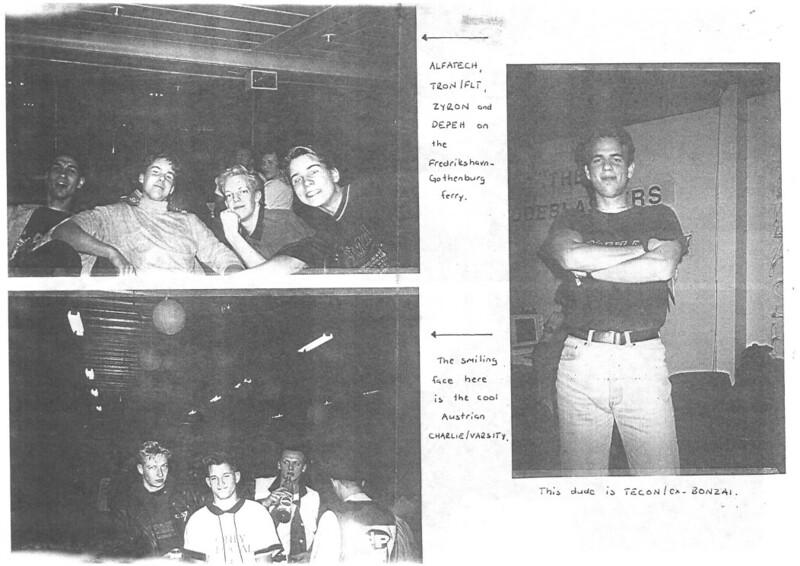 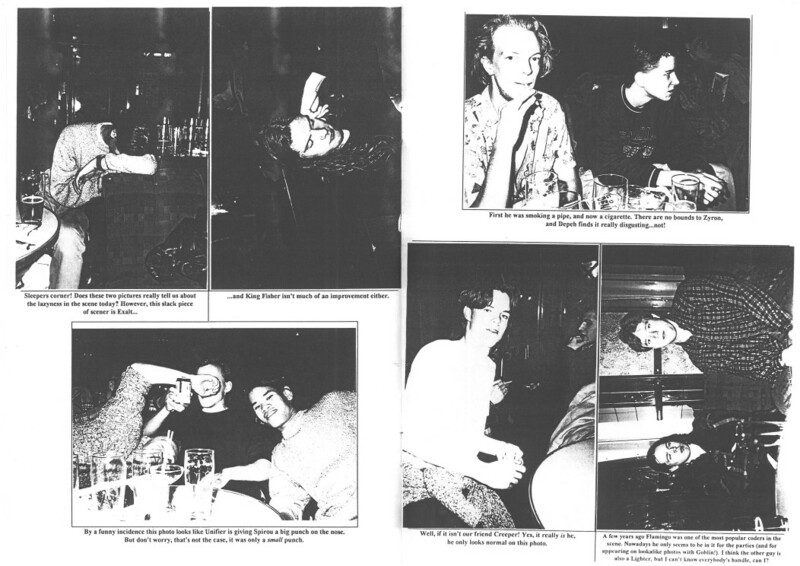 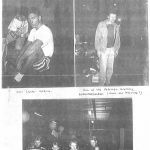 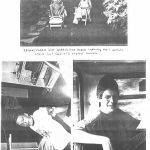 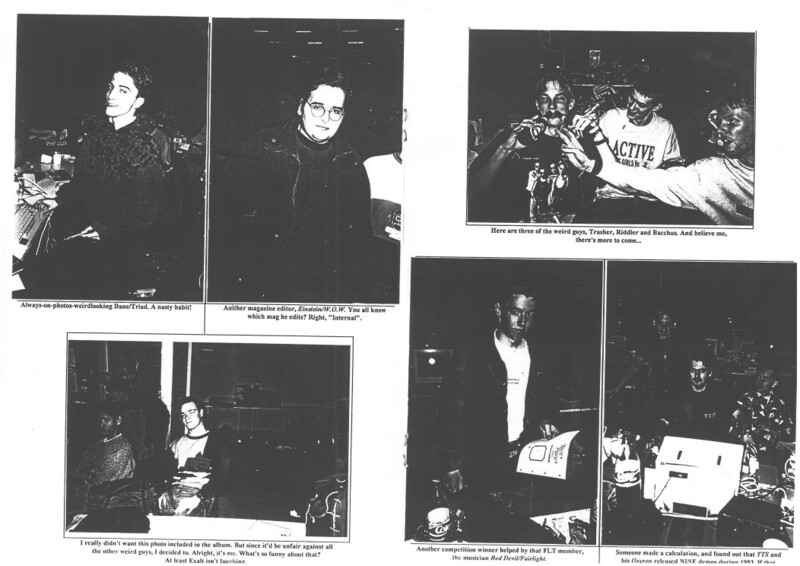 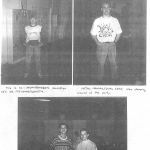 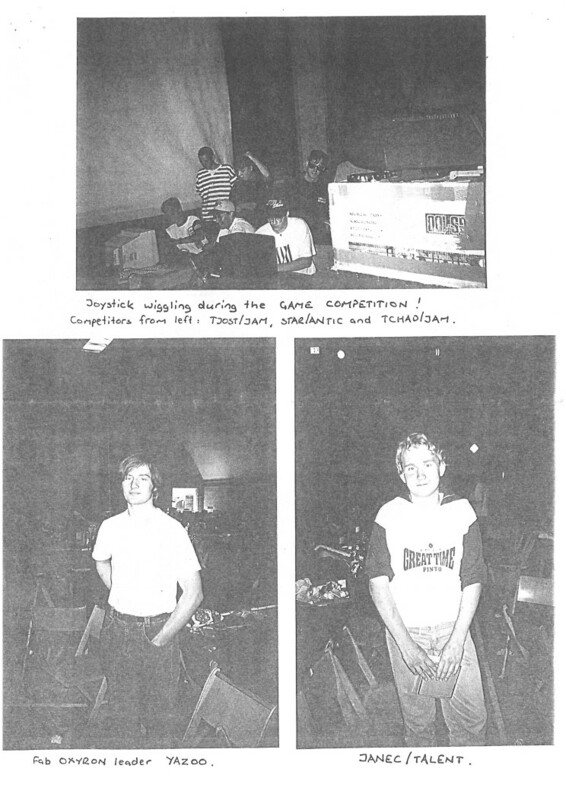 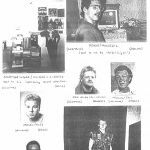 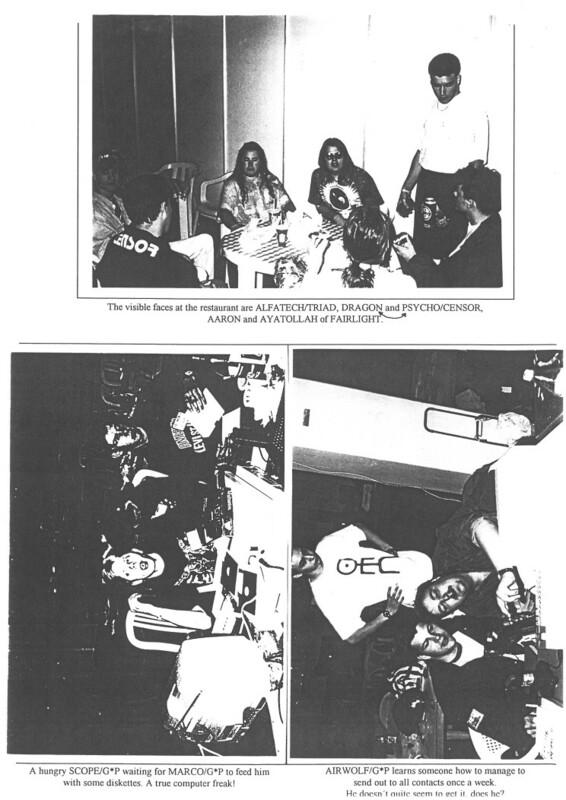 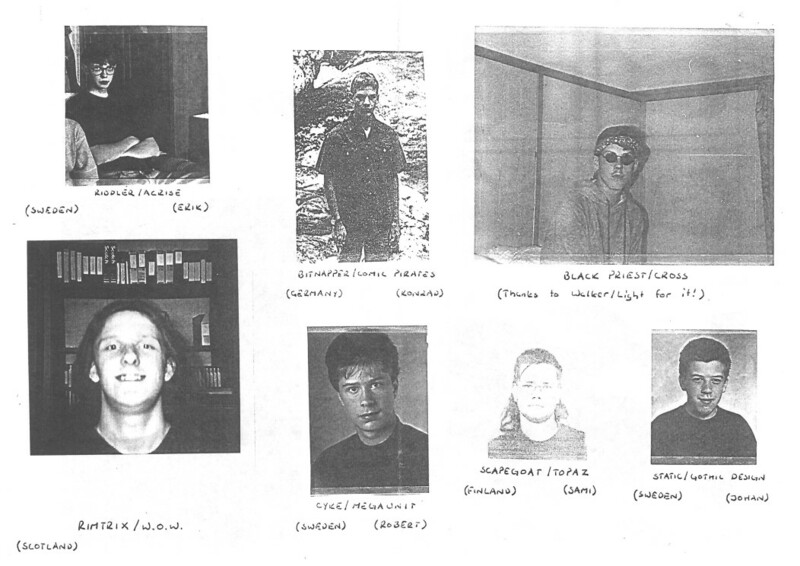 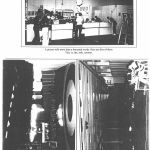 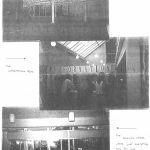 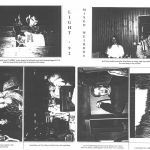 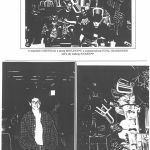 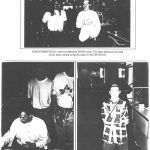 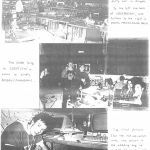 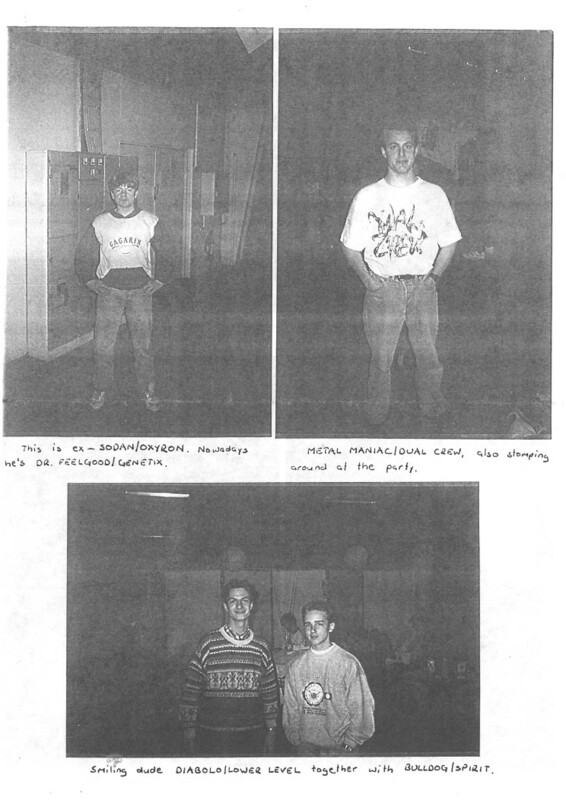 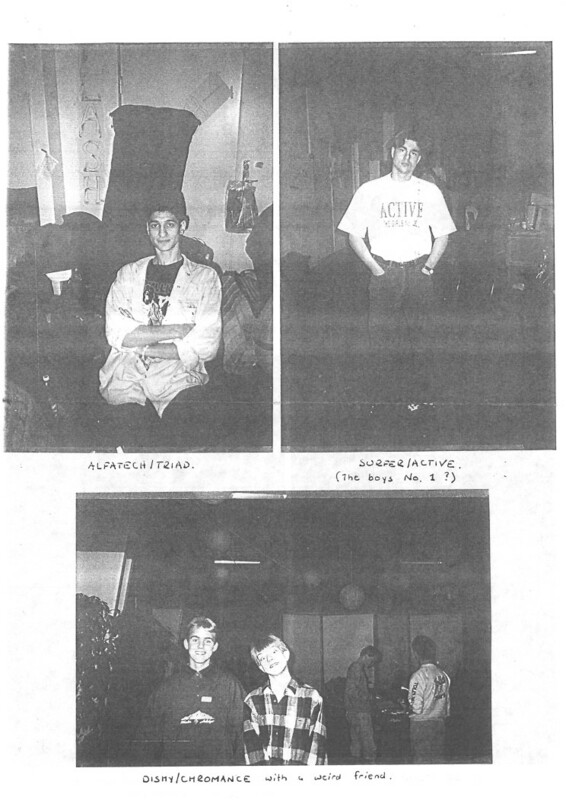 These pictures, sometimes barely recognisable due to b/w photocopying, do not just show us “who was who”, but also tell a lot about self-staging and identity management in the pre-Internet years of home computer enthusiasm. 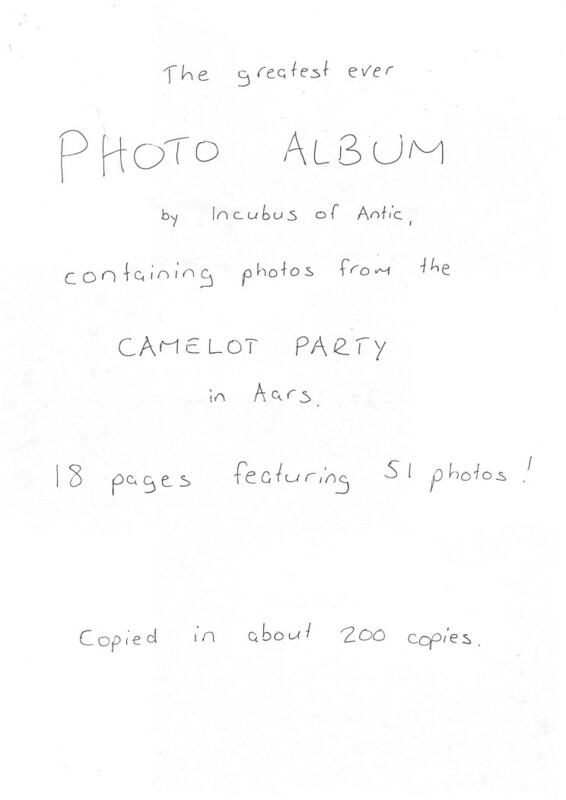 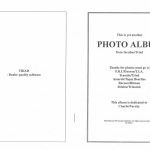 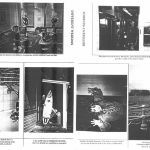 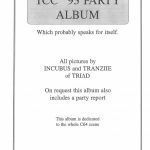 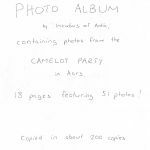 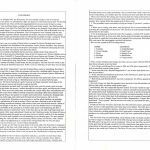 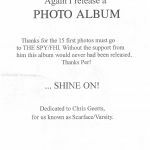 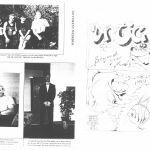 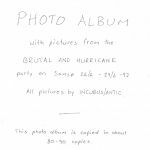 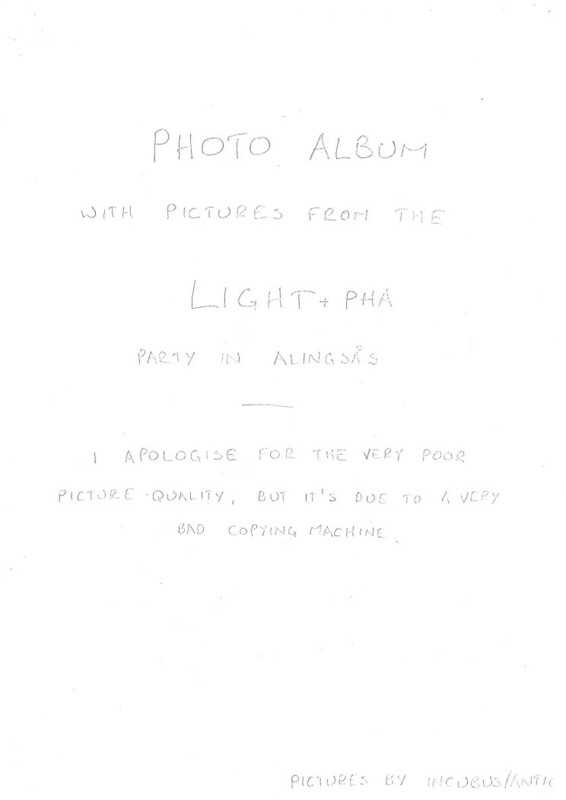 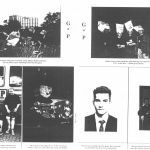 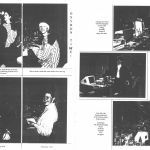 You can download the PDFs through the metadata links, or simply browse through the pages of the albums in the gallery below. 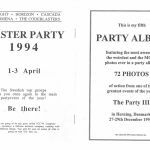 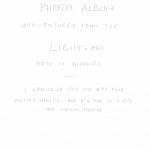 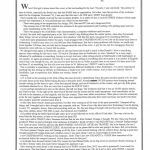 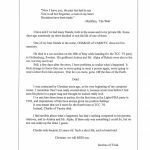 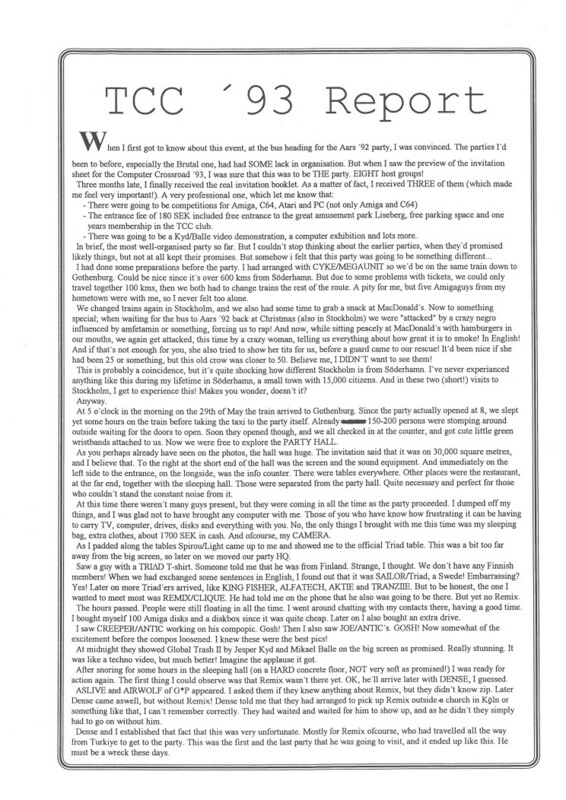 Posted in additions and tagged magazines, party, photos on November 12, 2015 by gleb_albert.